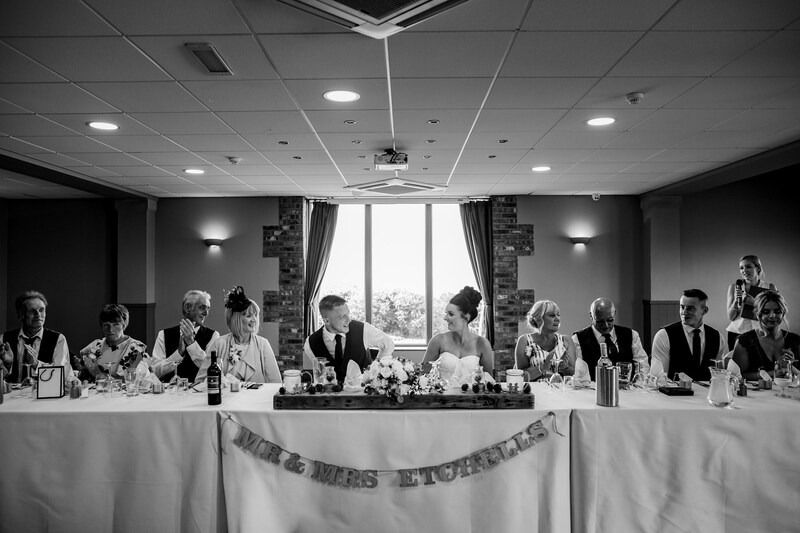 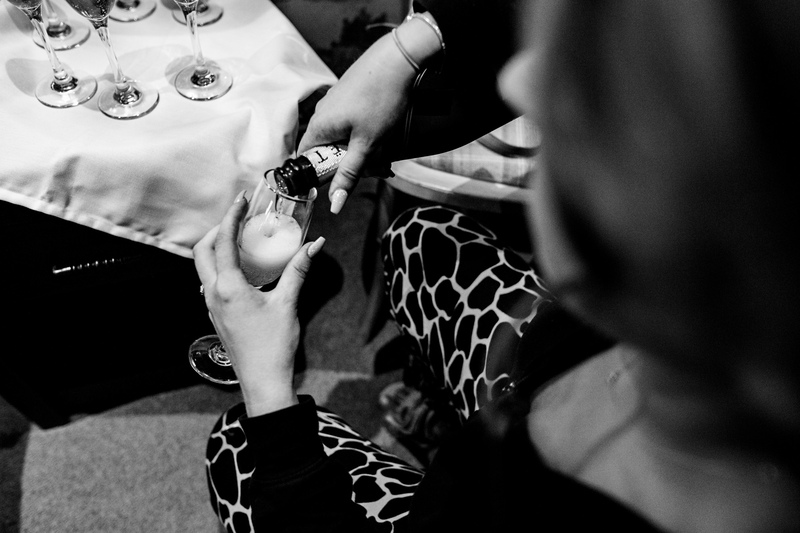 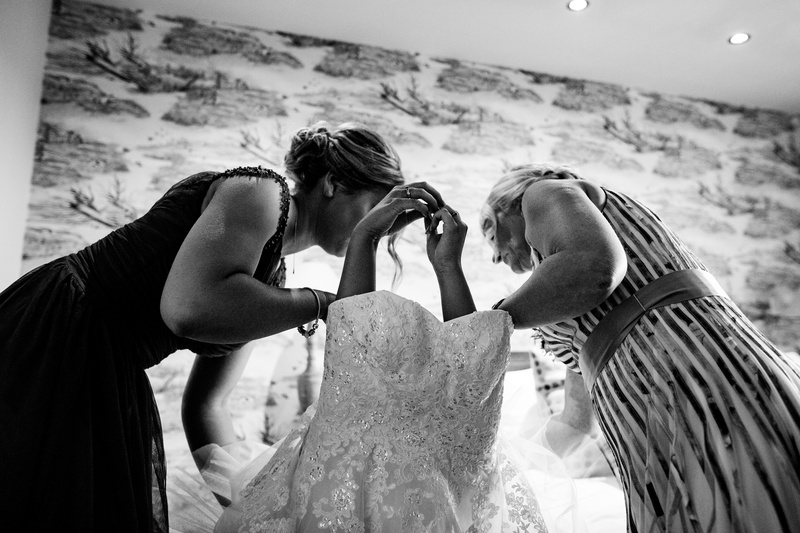 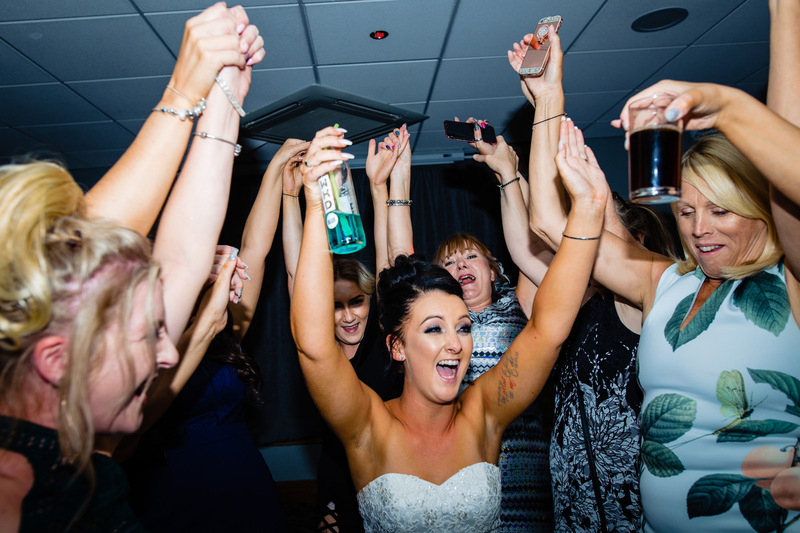 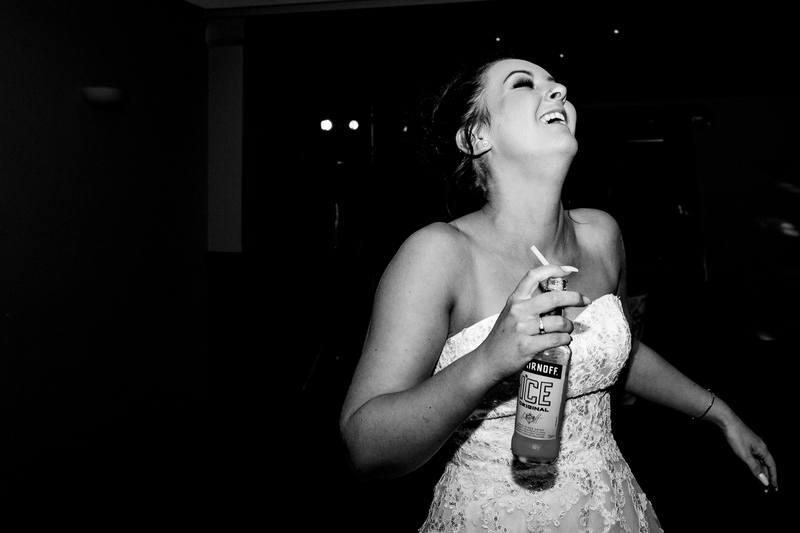 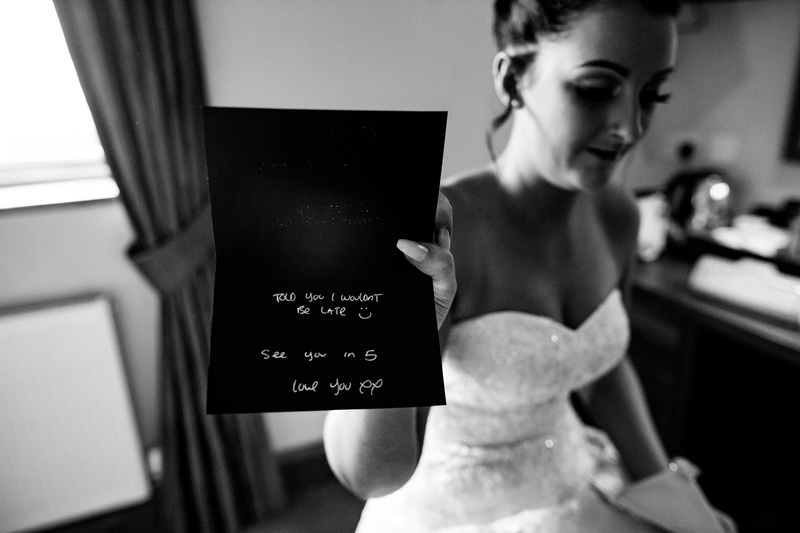 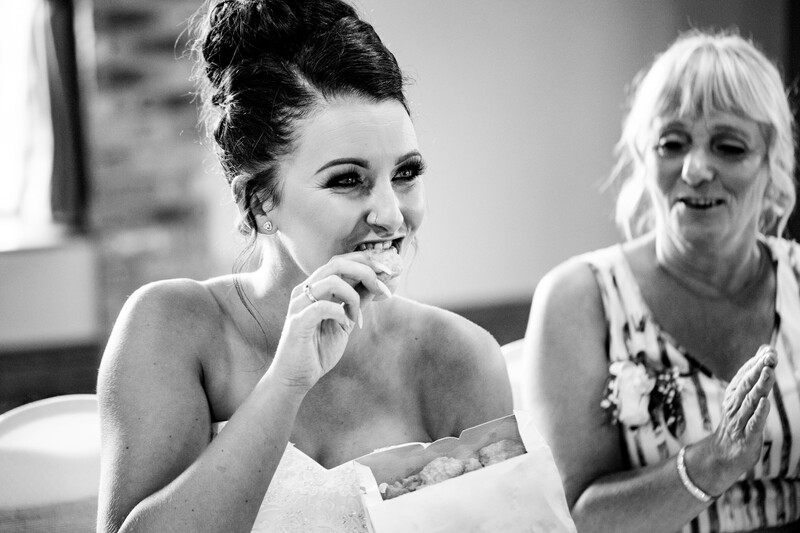 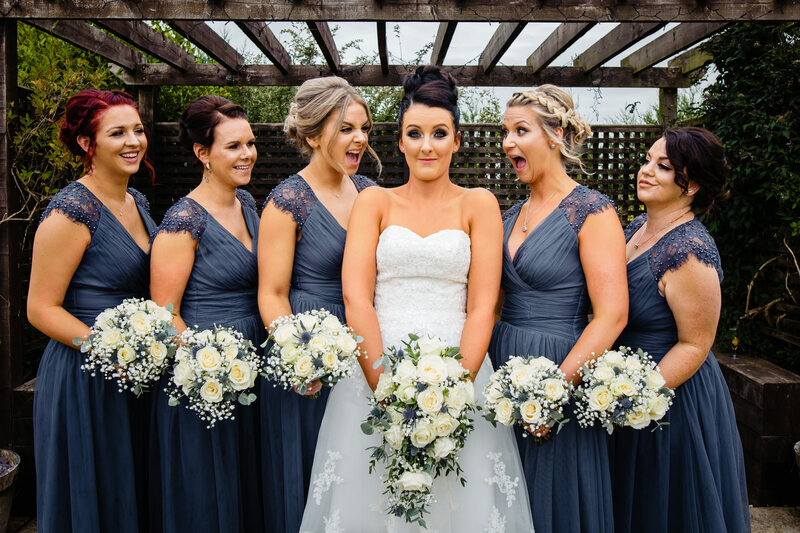 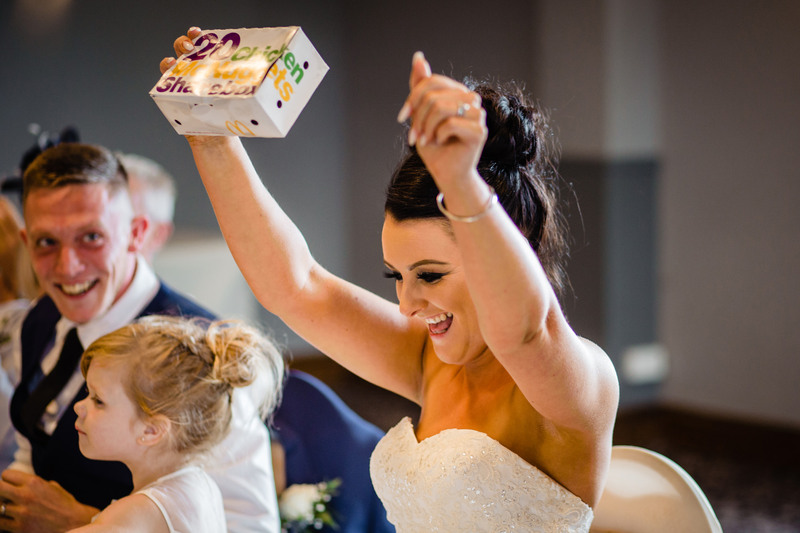 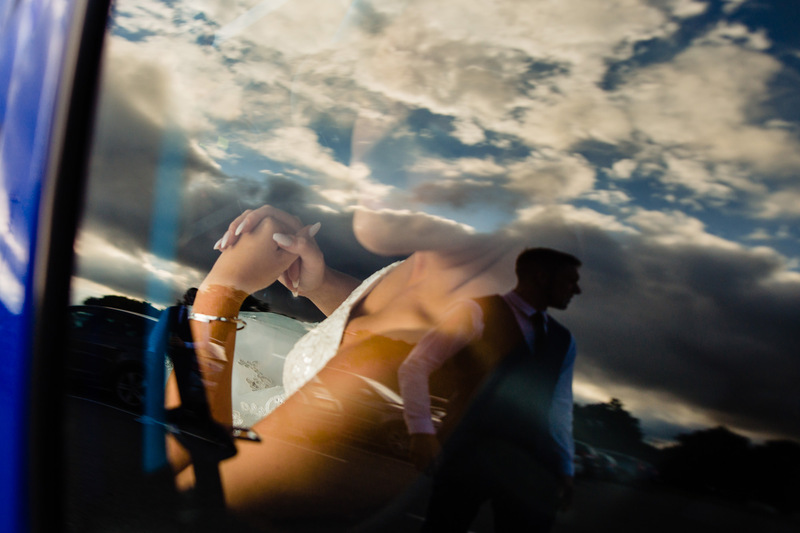 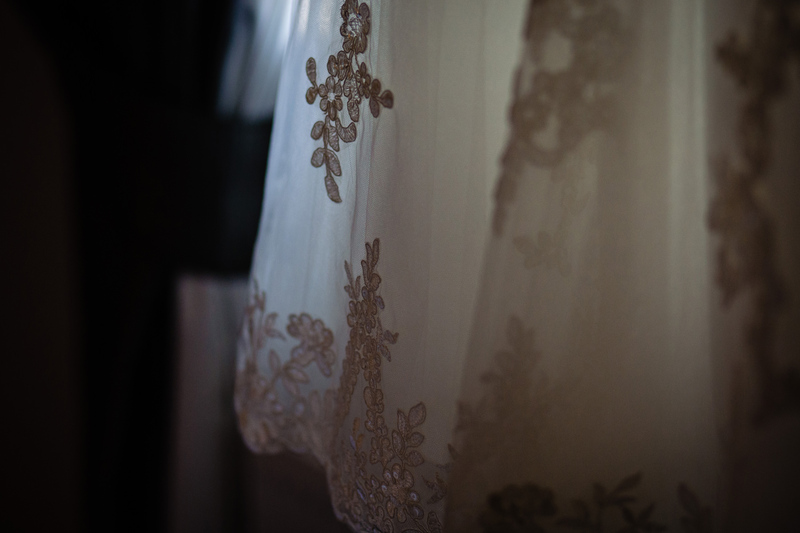 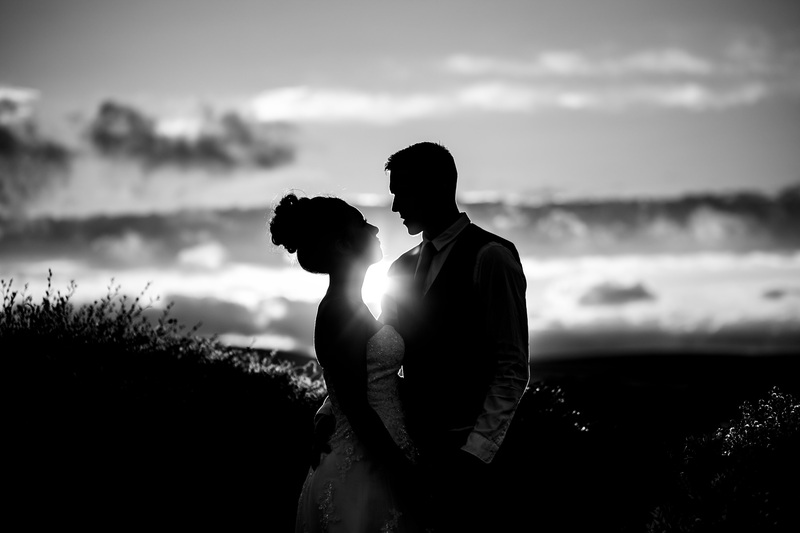 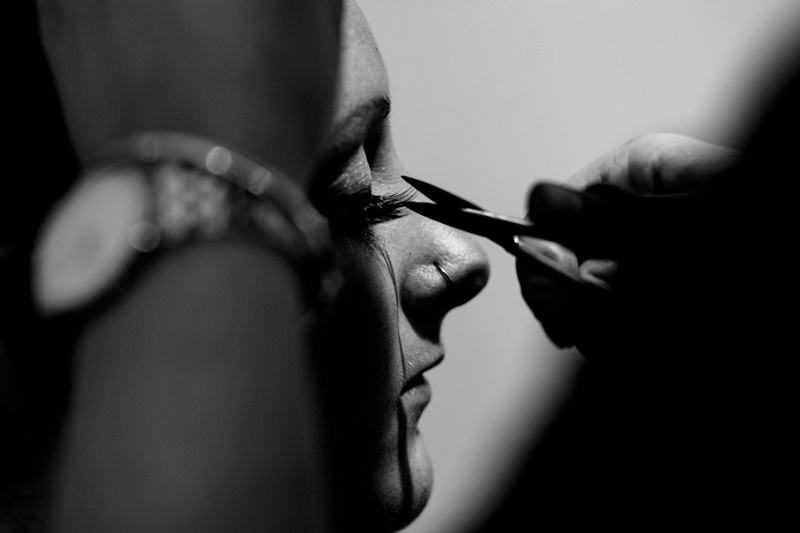 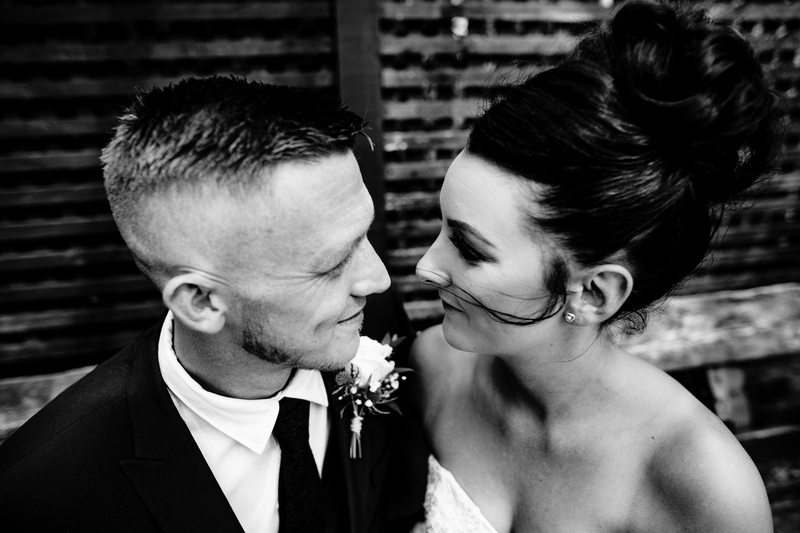 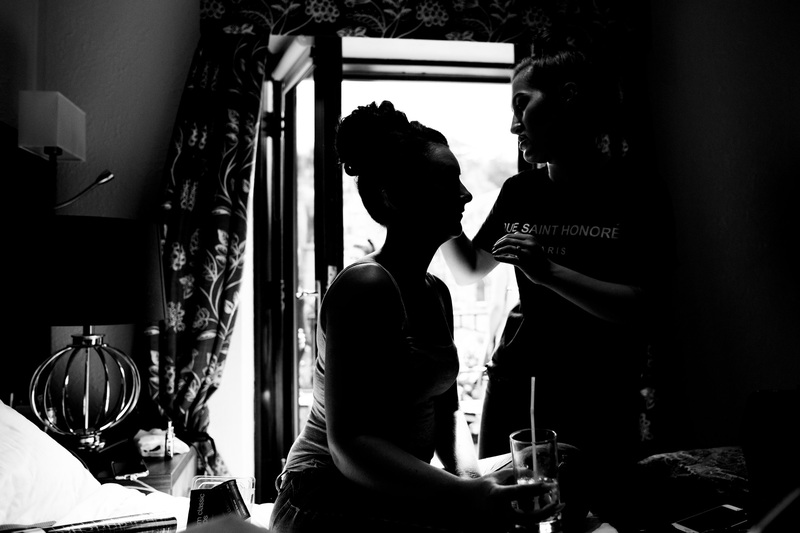 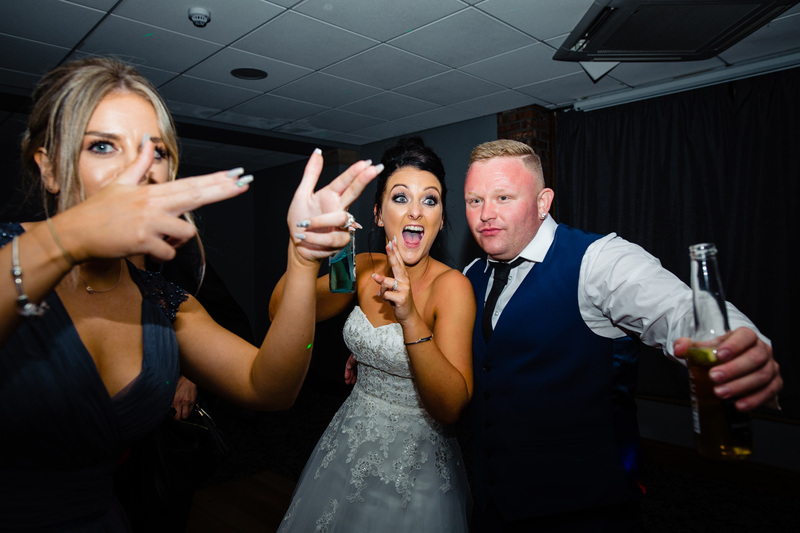 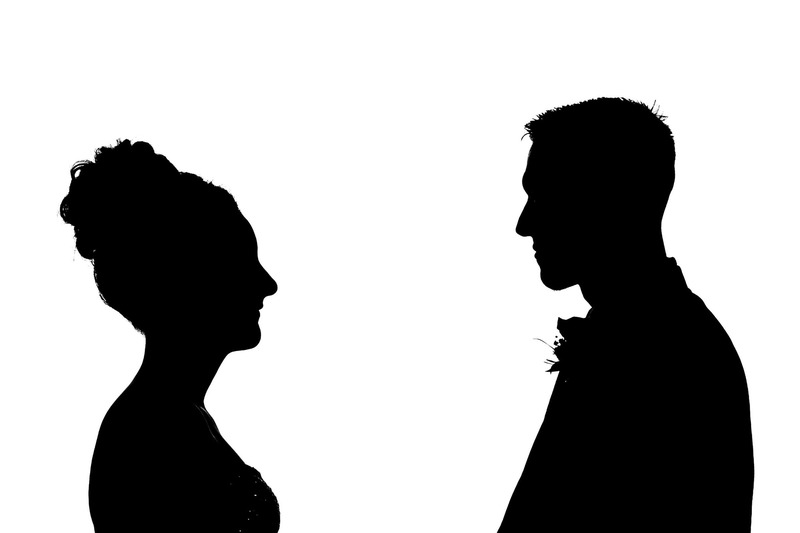 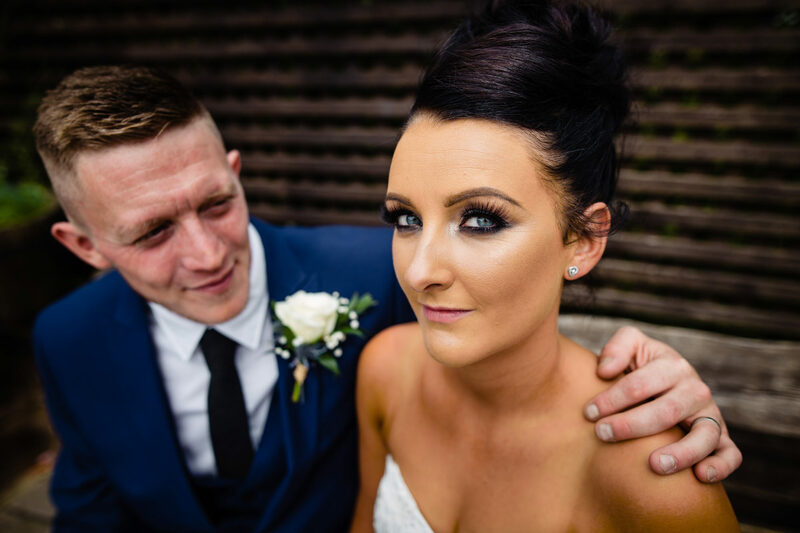 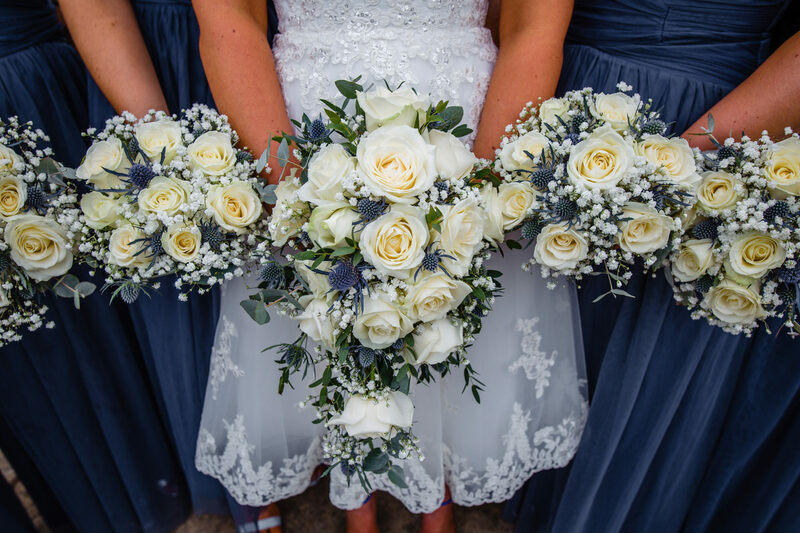 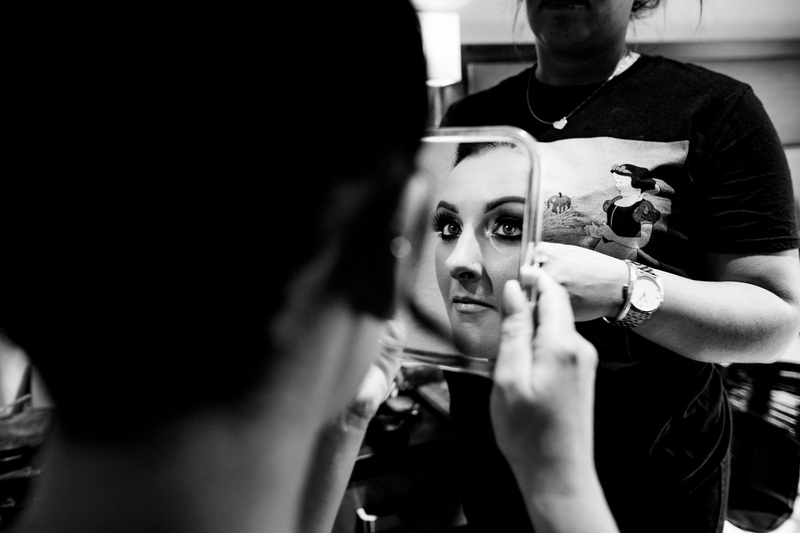 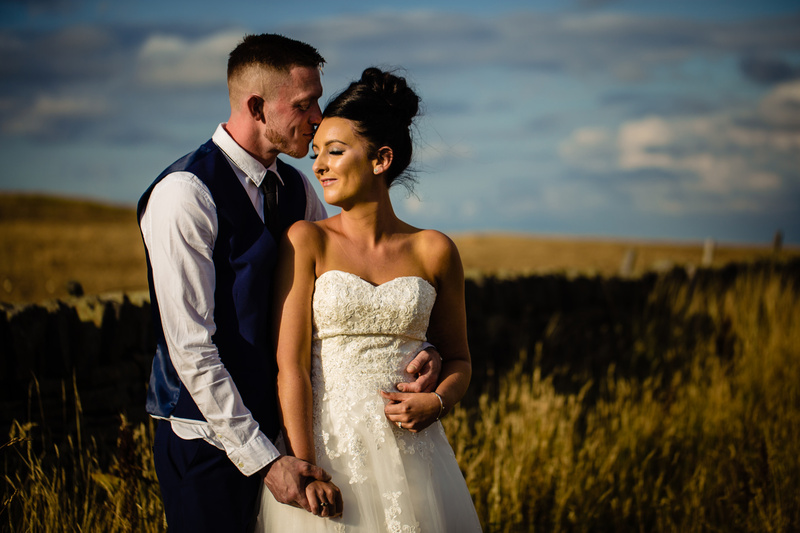 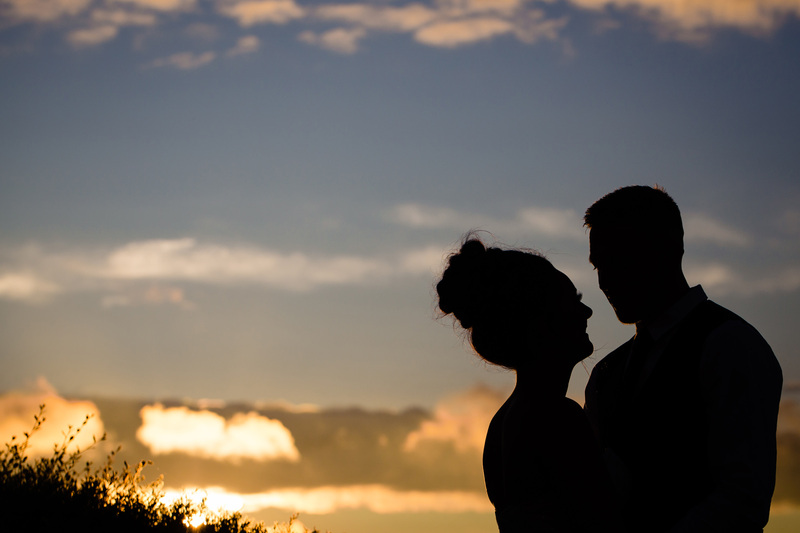 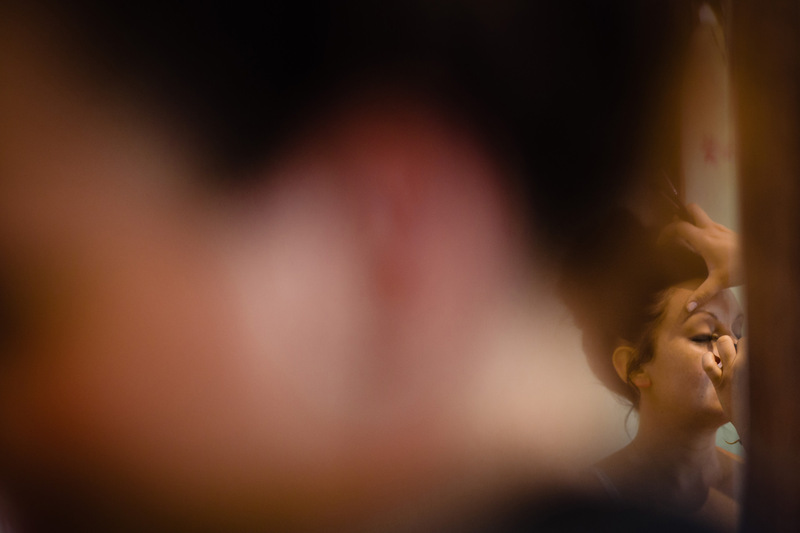 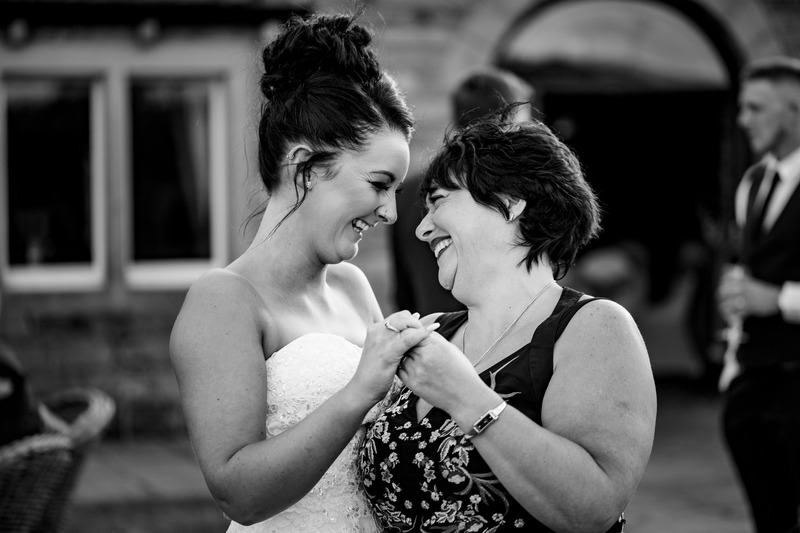 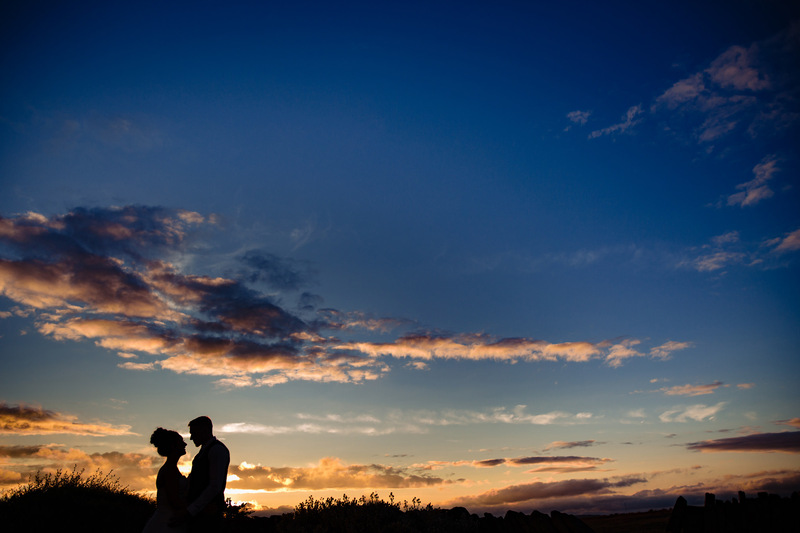 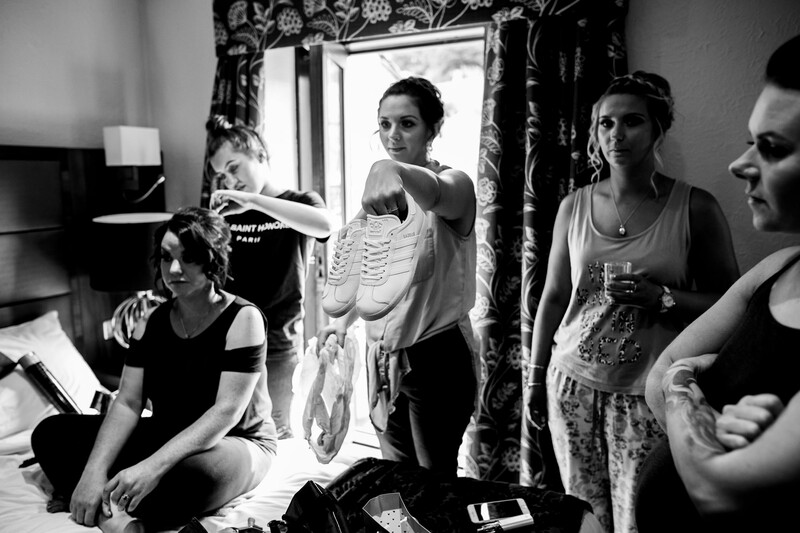 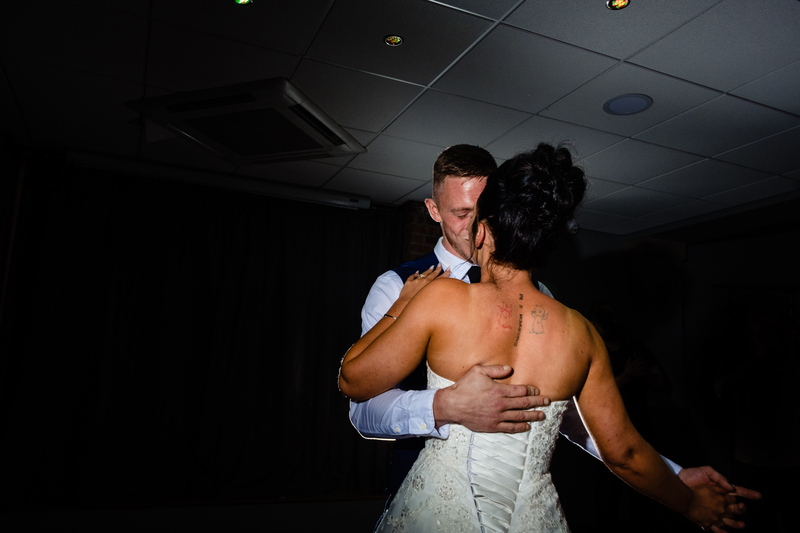 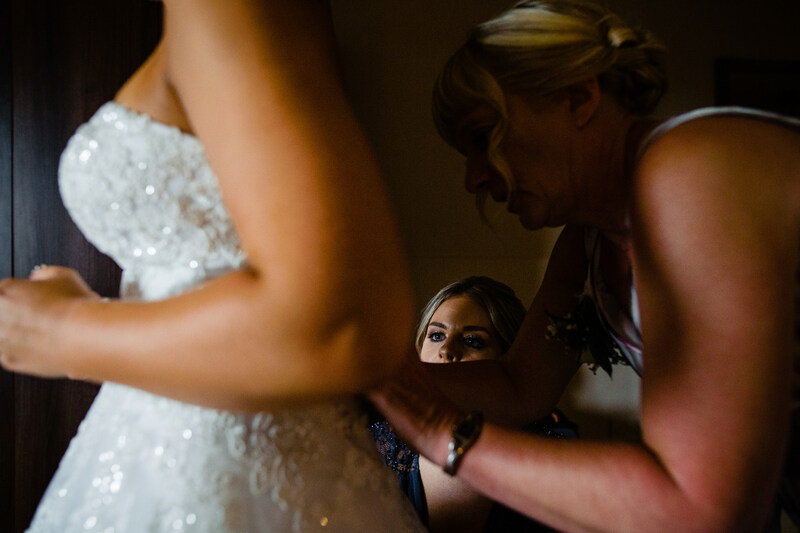 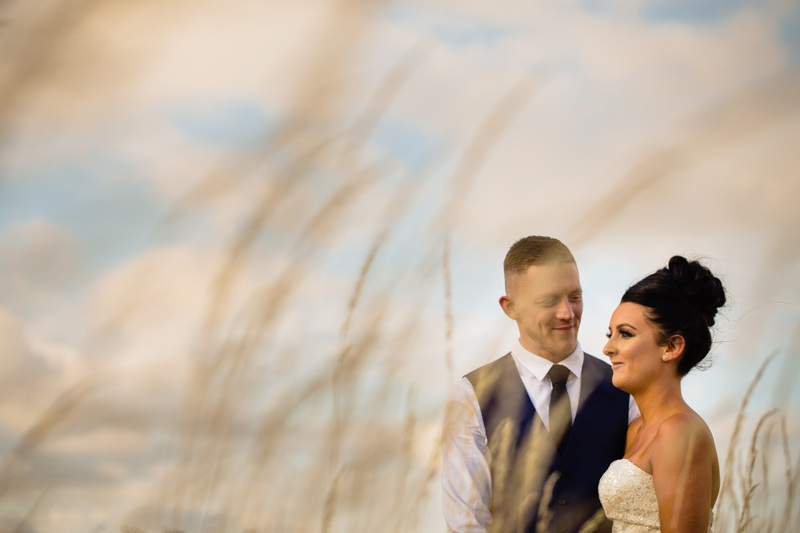 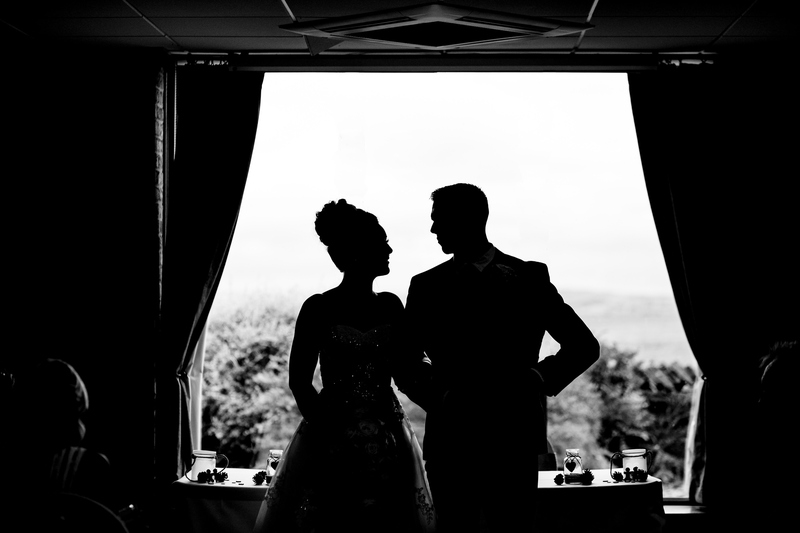 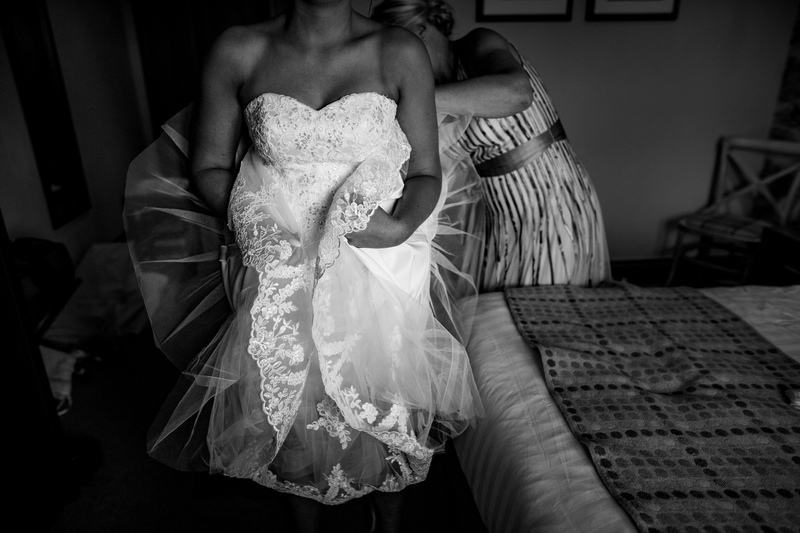 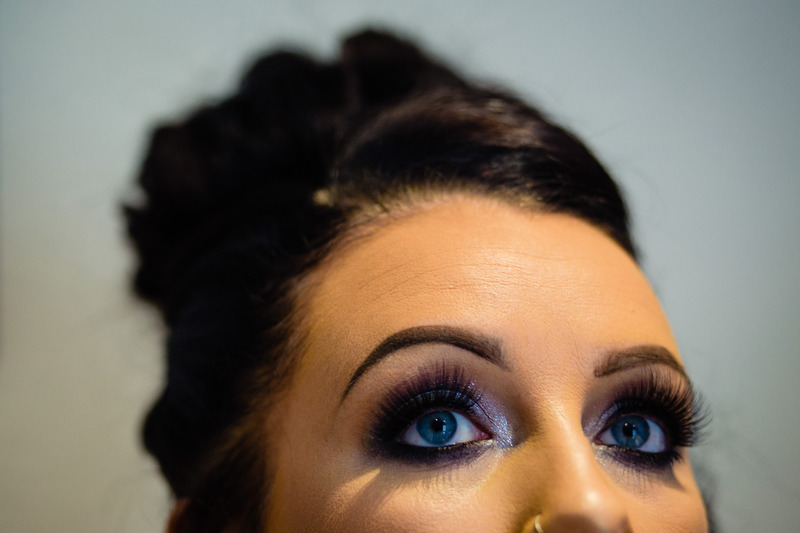 Kirsty and James tied the knot in The Huntsman Inn, Holmfirth, West Yorkshire. 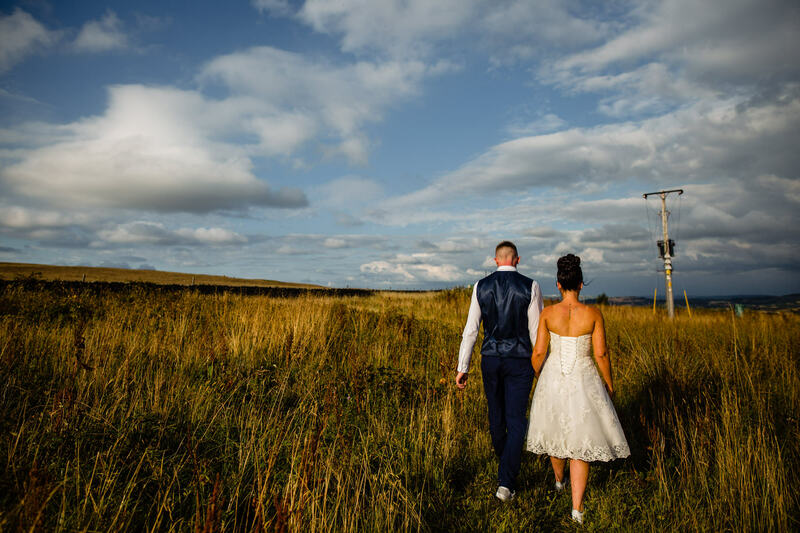 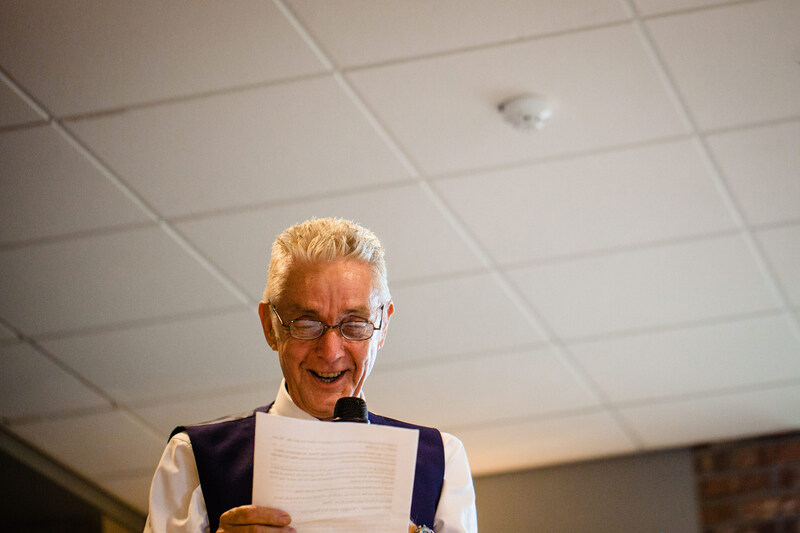 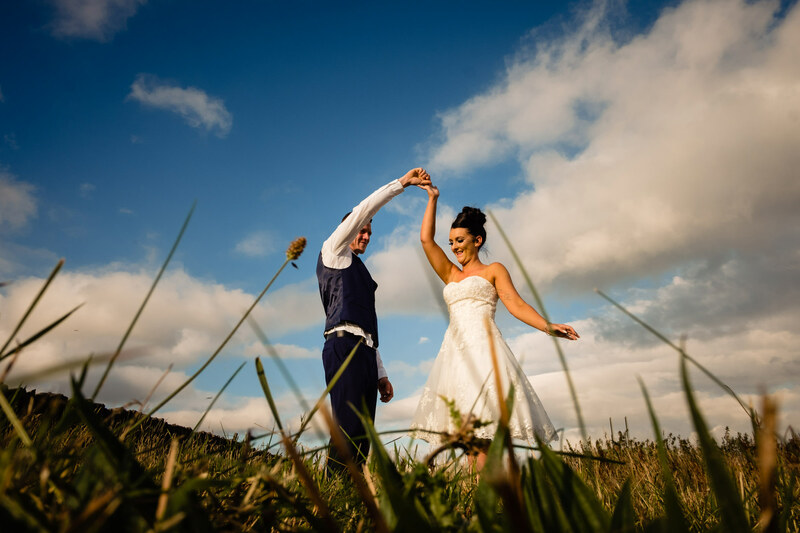 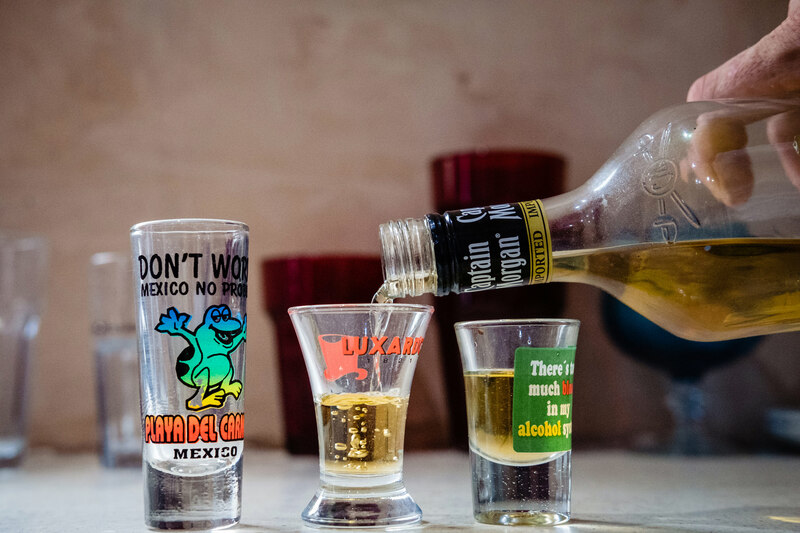 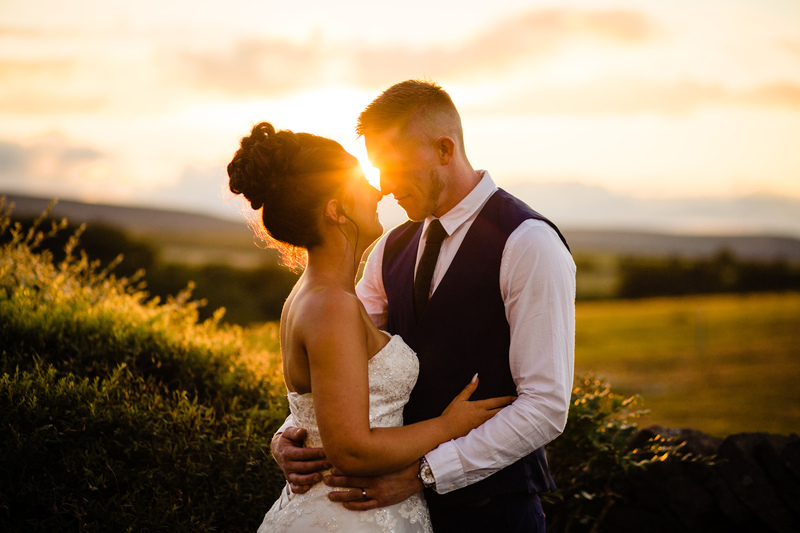 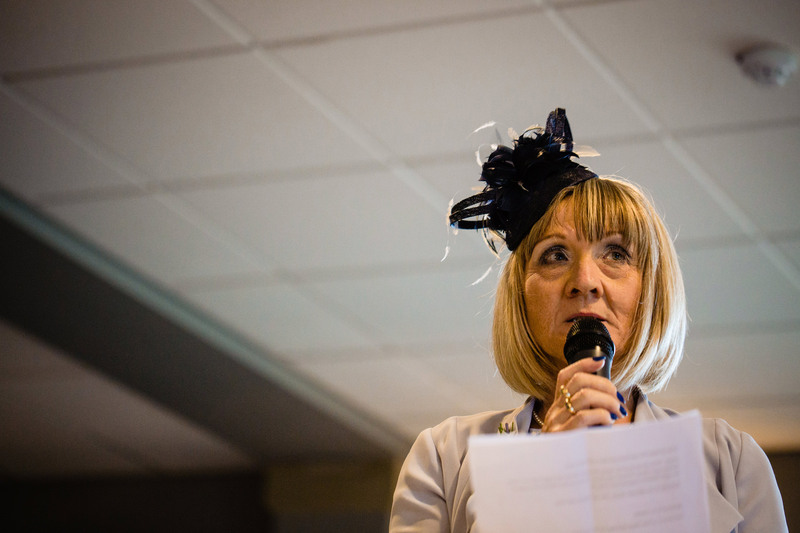 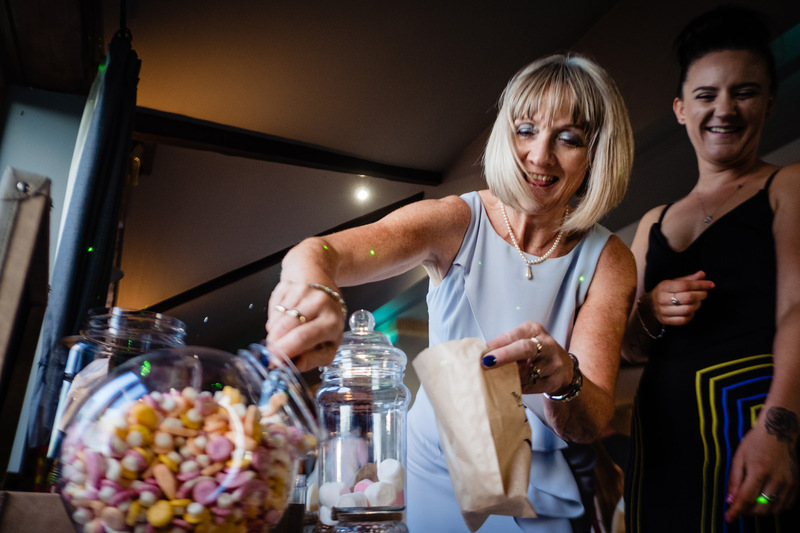 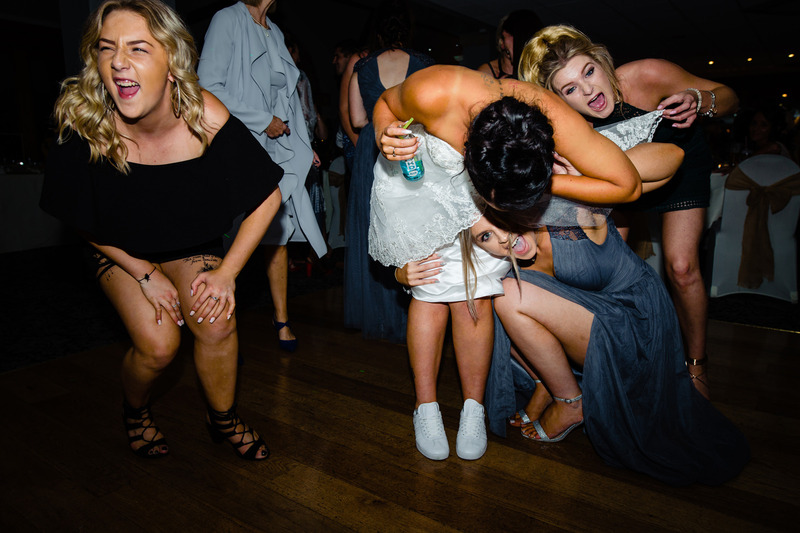 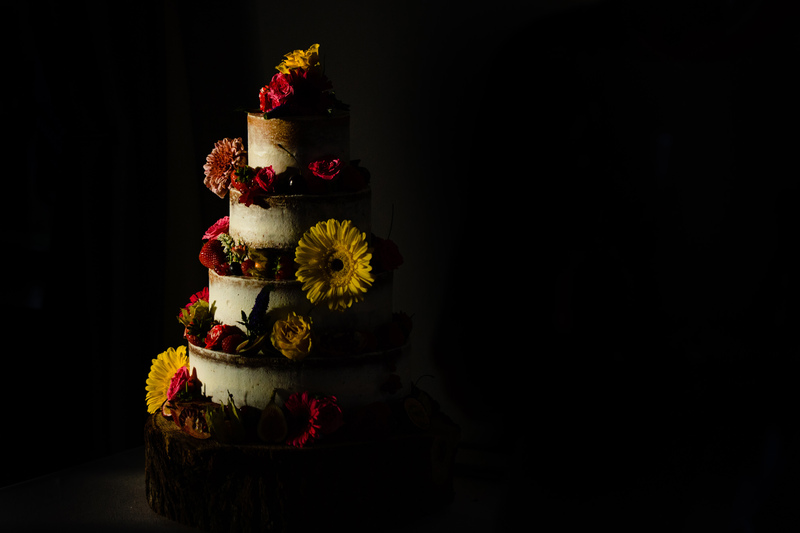 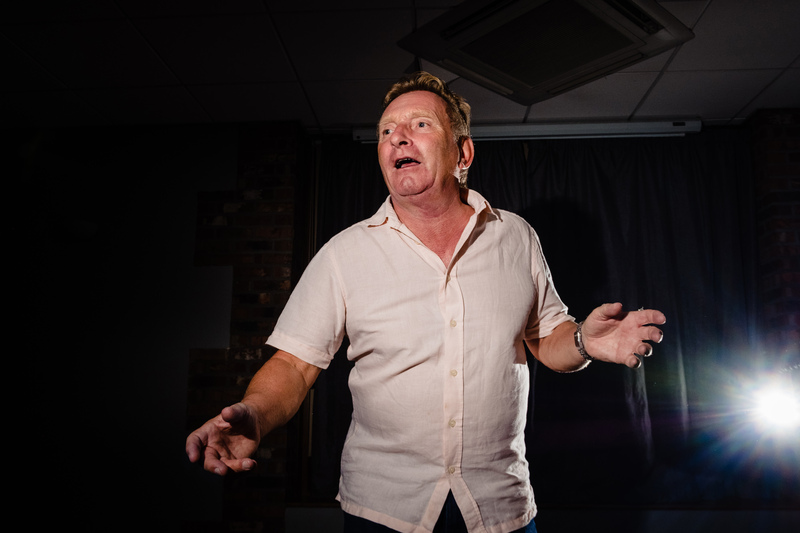 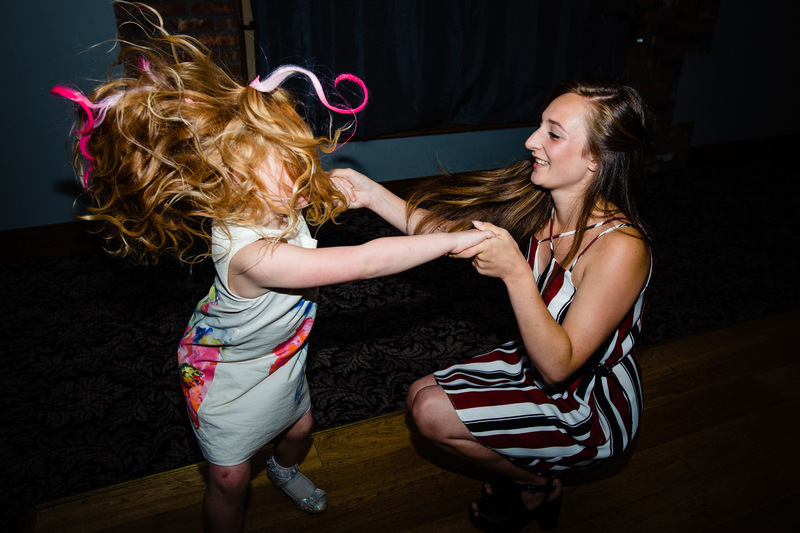 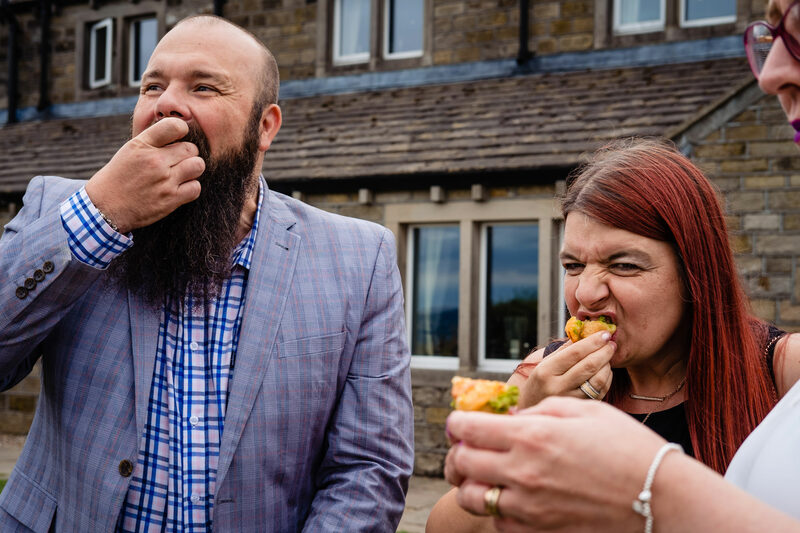 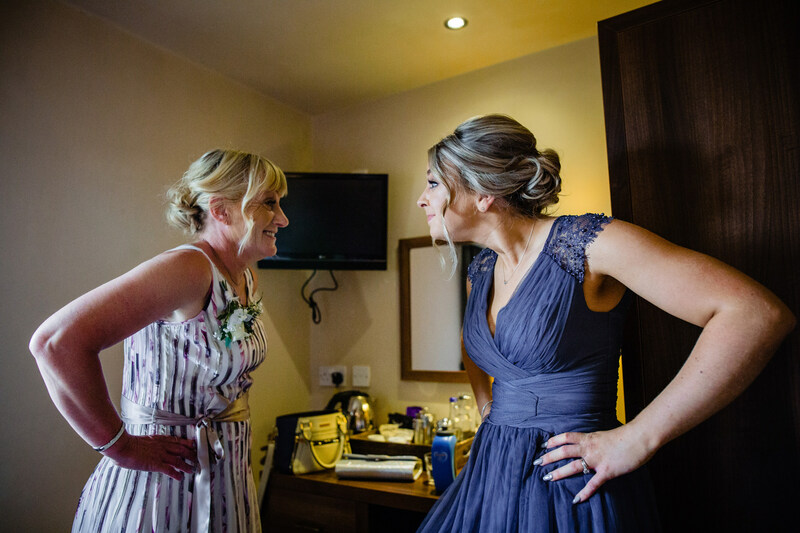 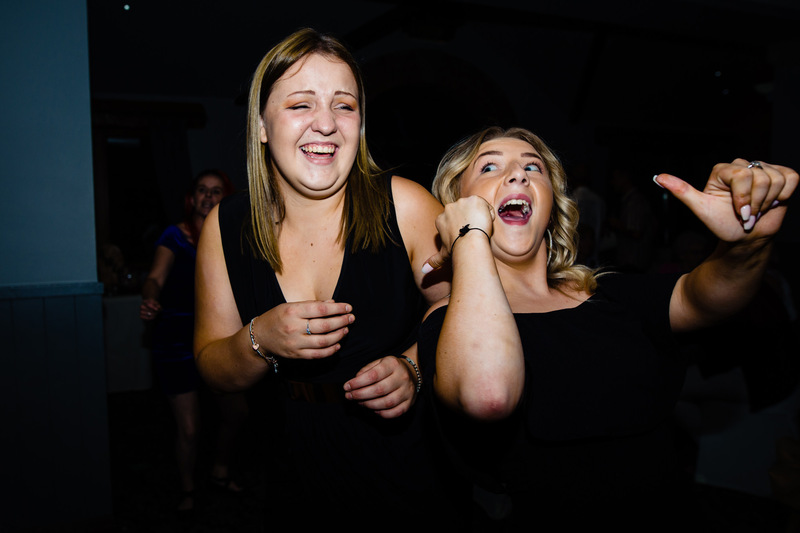 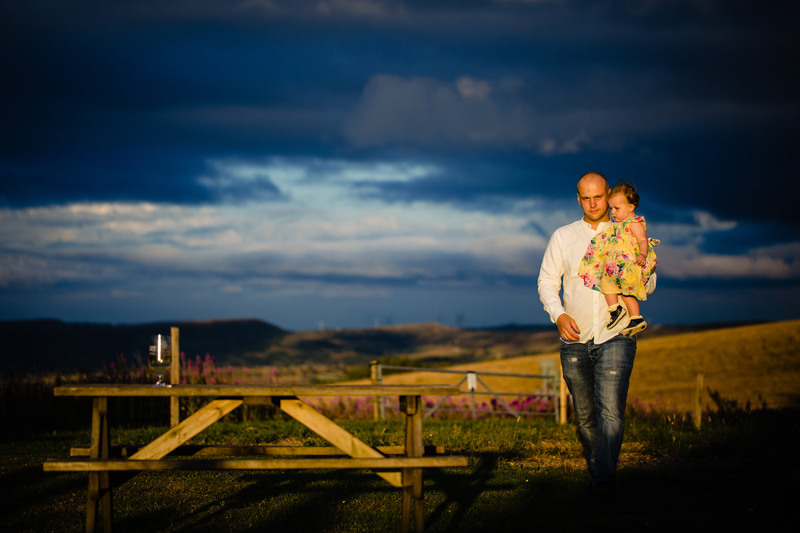 When we booked a wedding in Holmfirth, you know Last of the Summer Wine country, we thought it was going to be all afternoon teas, sheep and old men careering down hills in bathtubs. 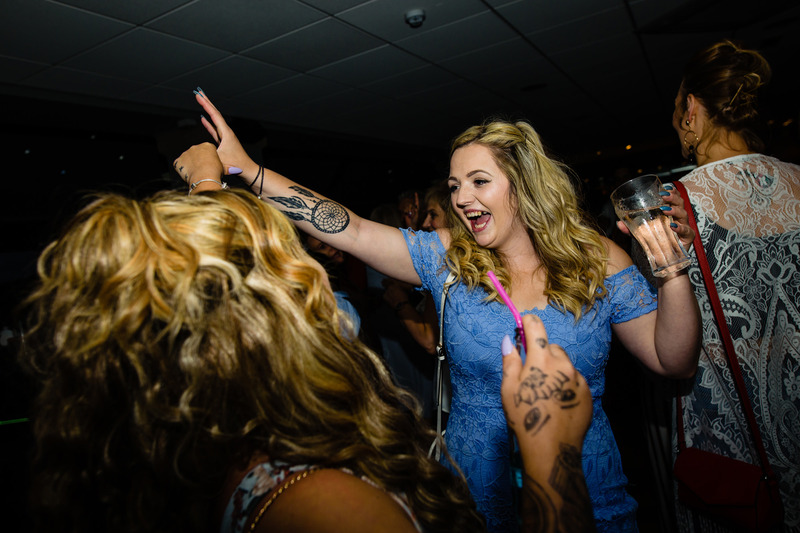 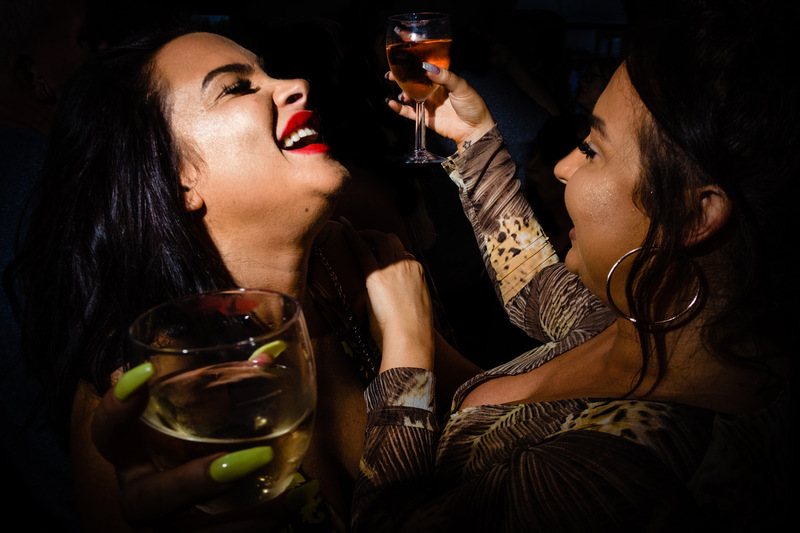 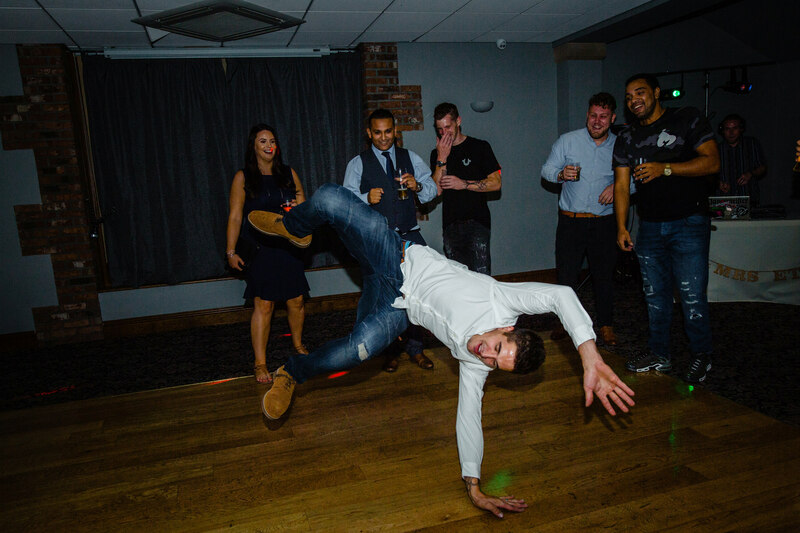 Instead, we got an awesome group of friends, some cool VW show cars and non-stop grime on the dance floor – with added epic dance moves. 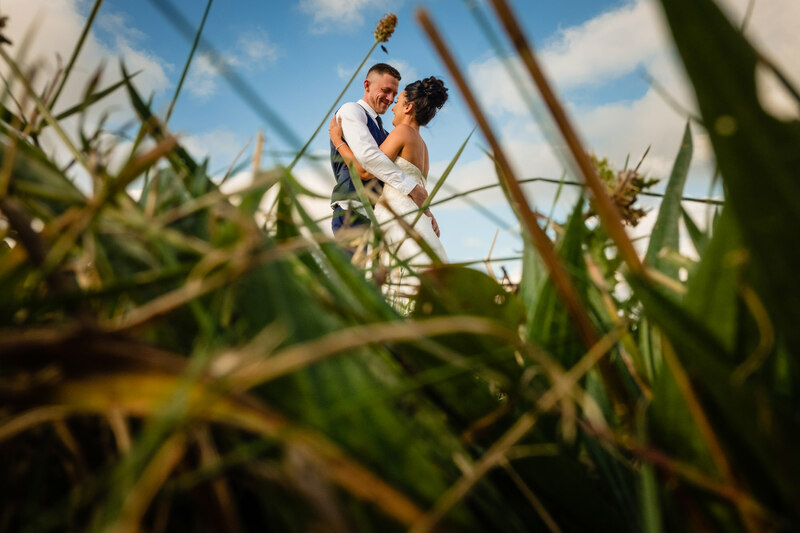 Not a bathtub in sight! 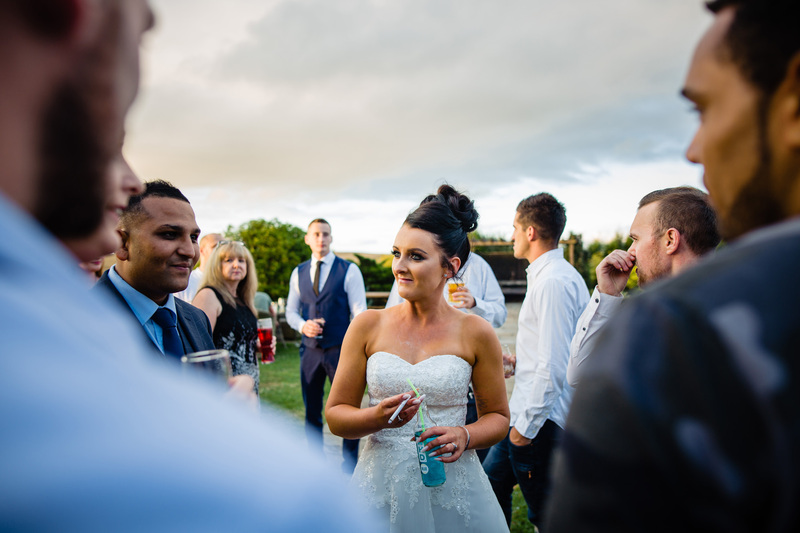 The gorgeous summer sun made sure the VWs were sparkling and everyone could chill out on the lawn at this excellent venue. 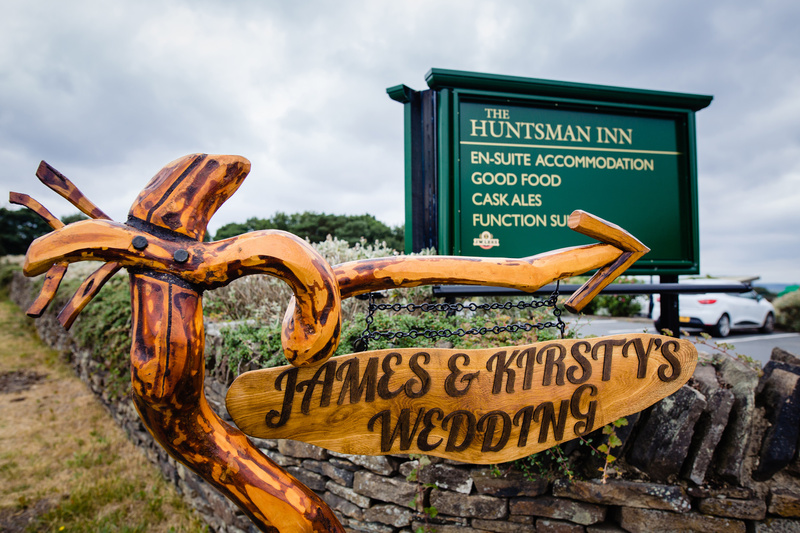 The staff at The Huntsman Inn were amazing all day, it’s great when everybody is so eager to make sure it’s an awesome experience, and the food was incredible too. 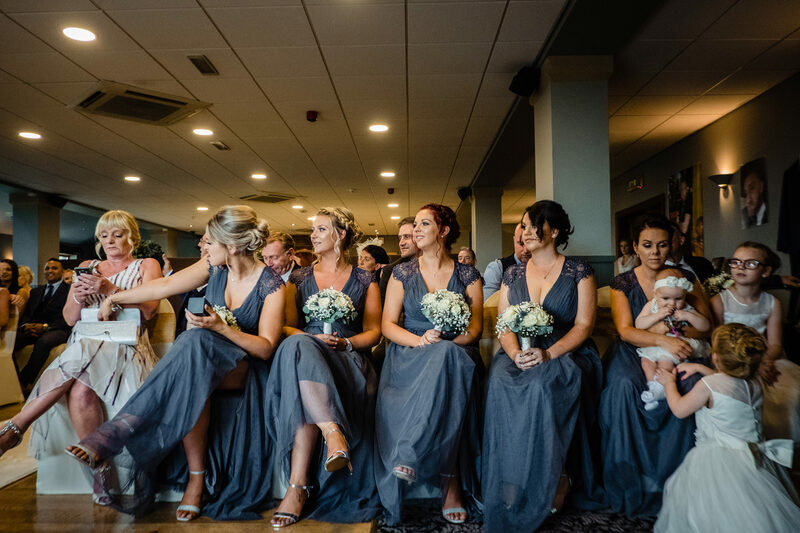 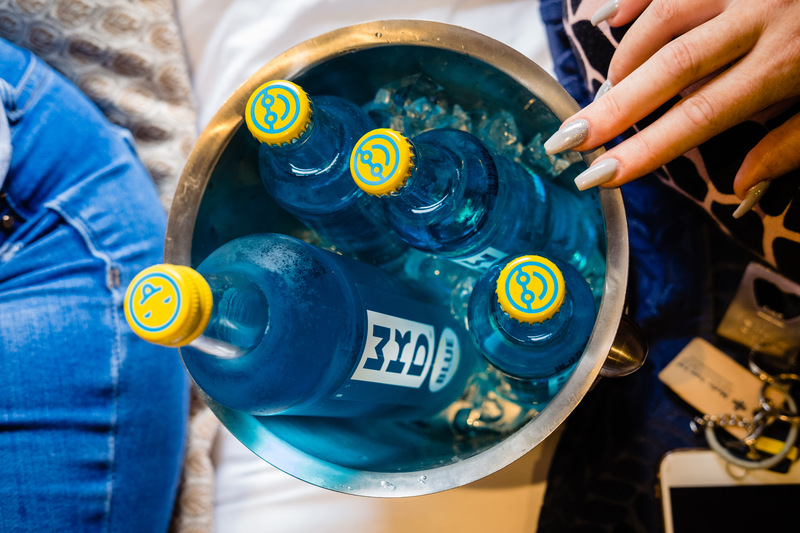 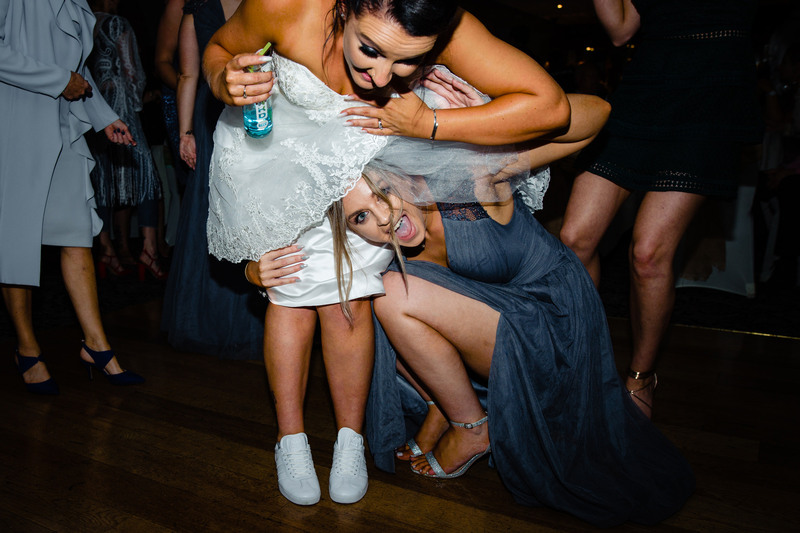 We loved that the blue colour theme could be spotted through the suits, shoes, dresses, car and even Kirsty’s drink of choice. 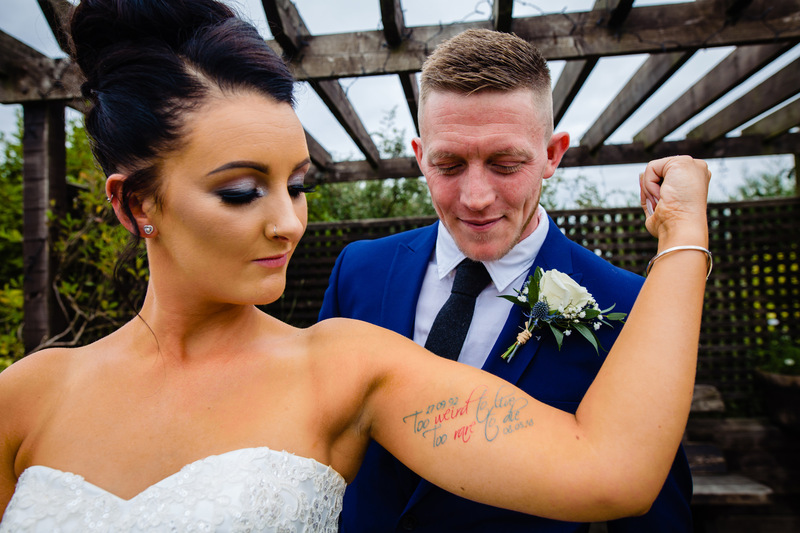 Top notch accessorising there! 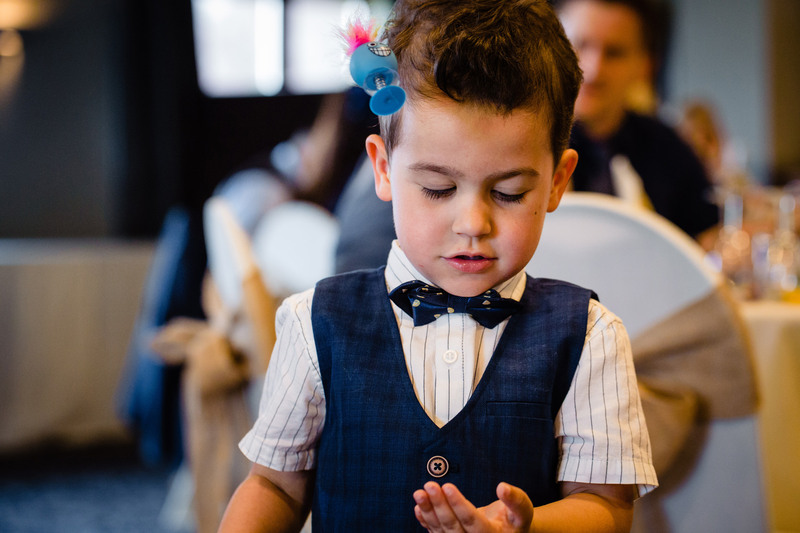 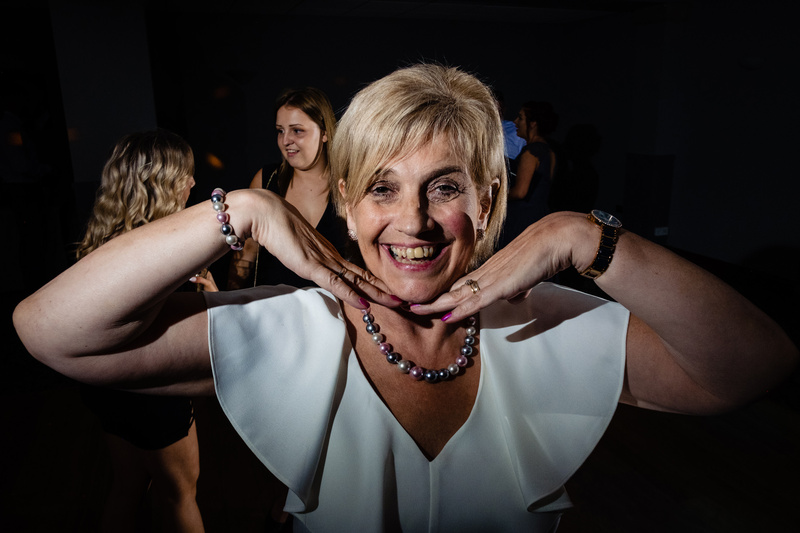 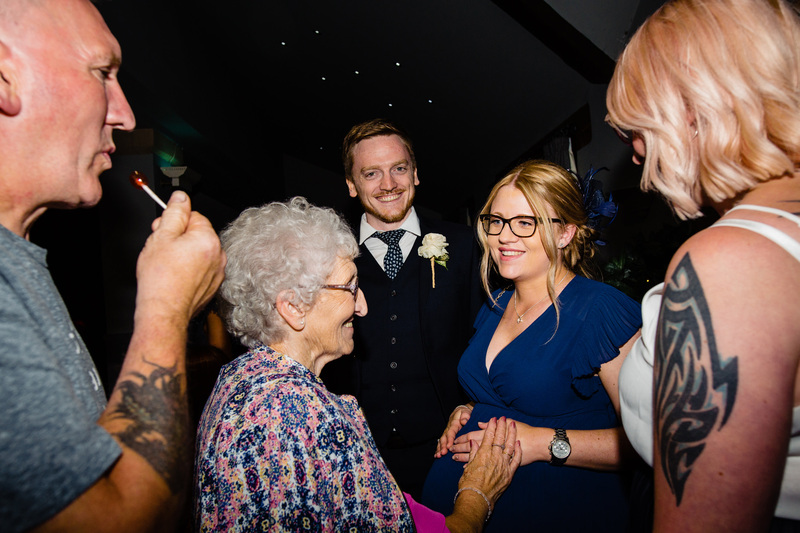 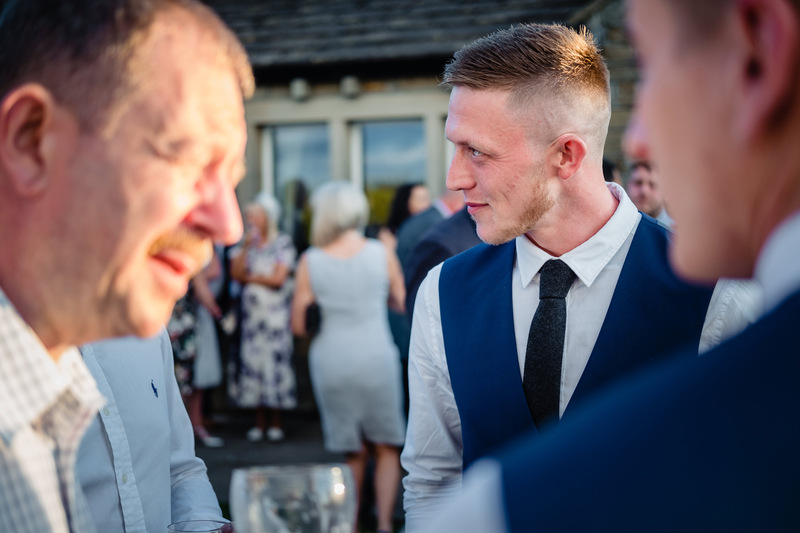 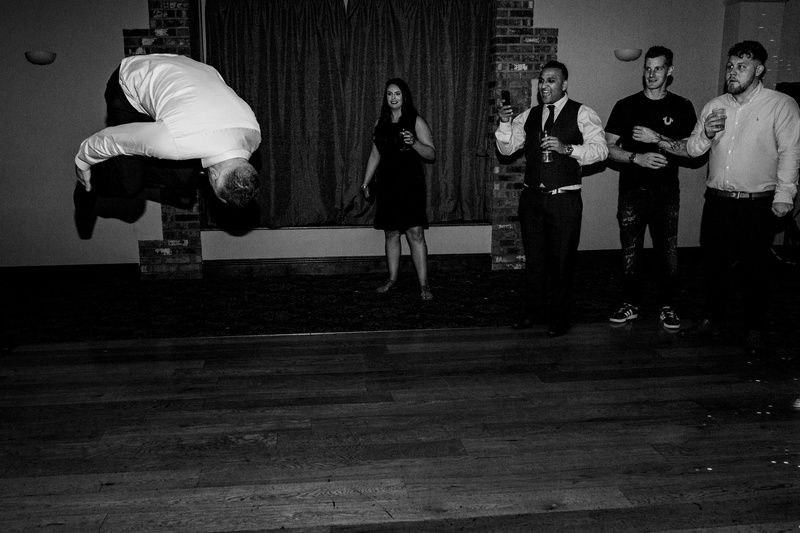 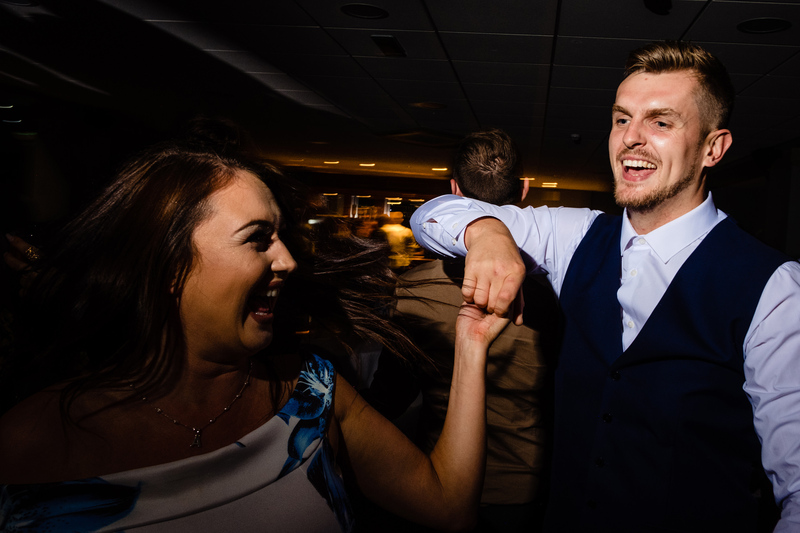 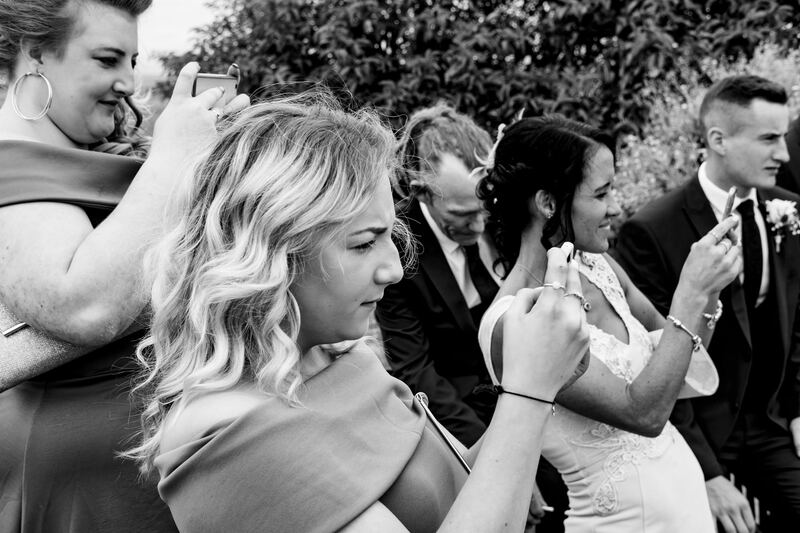 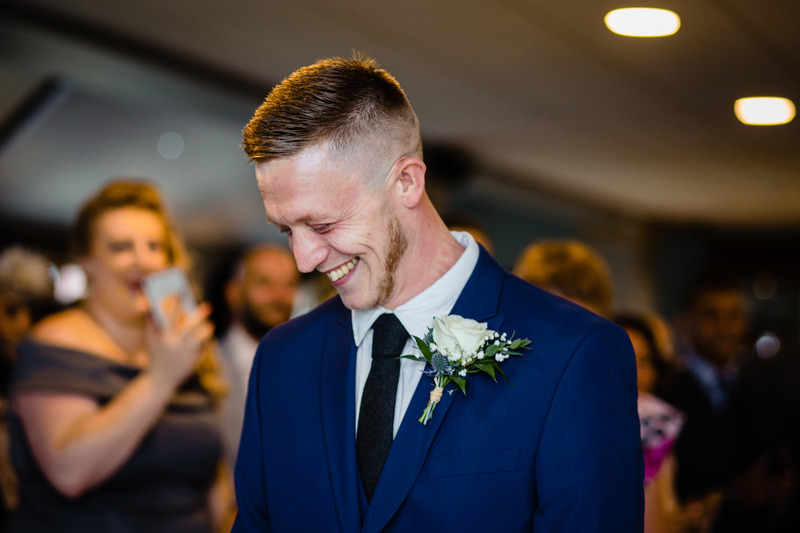 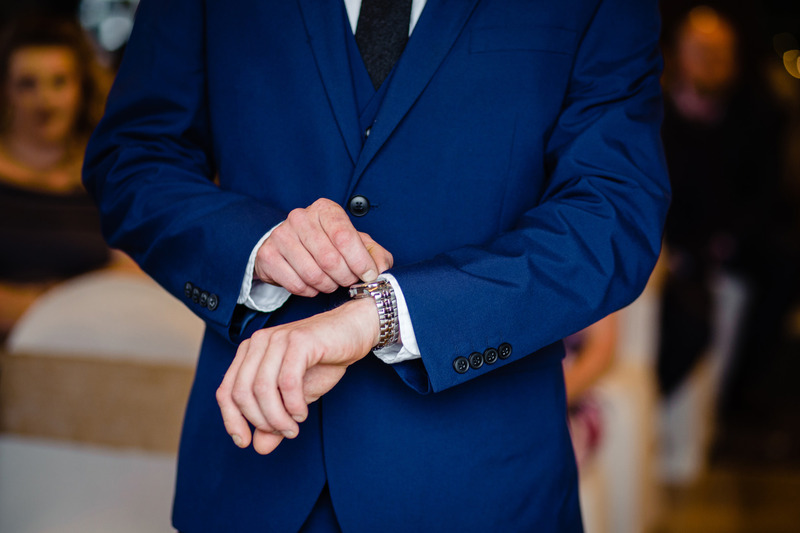 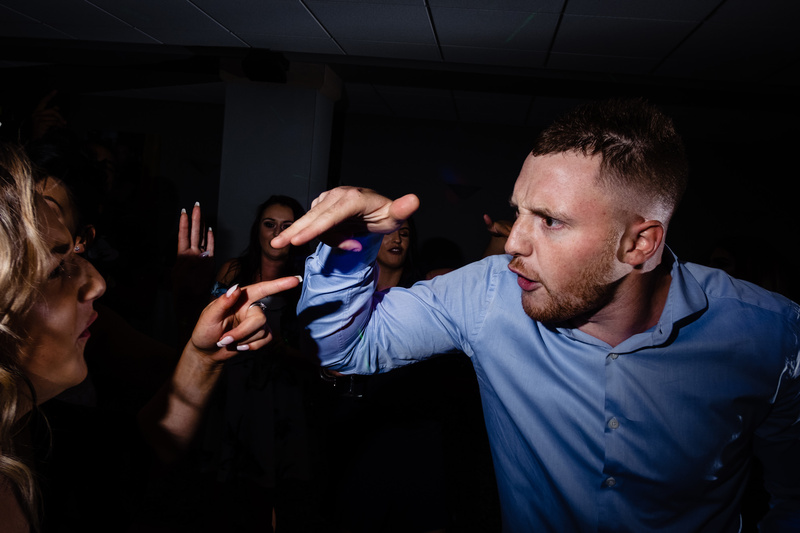 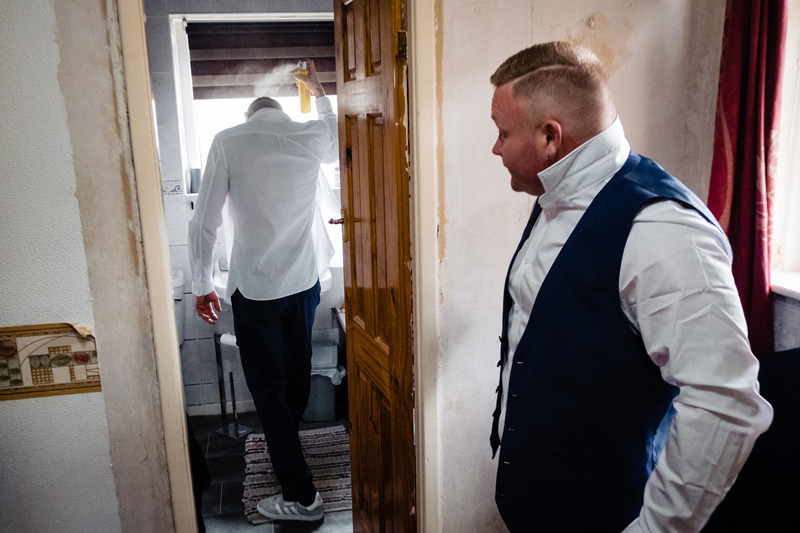 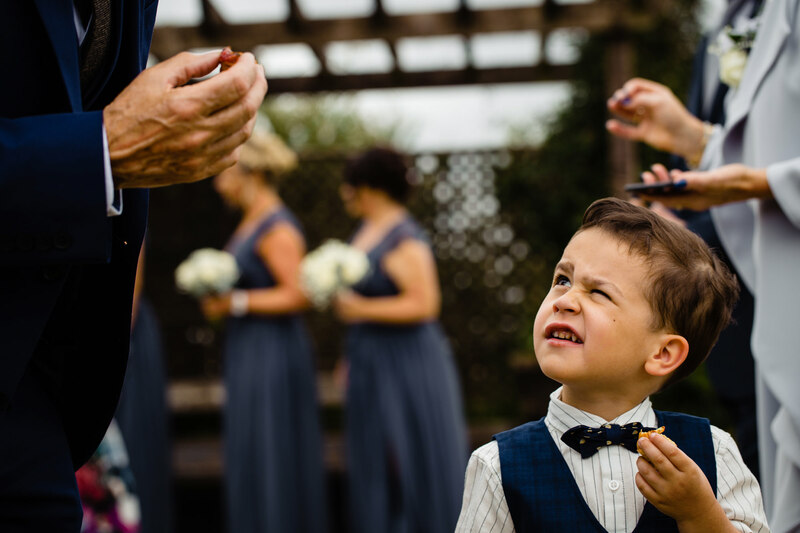 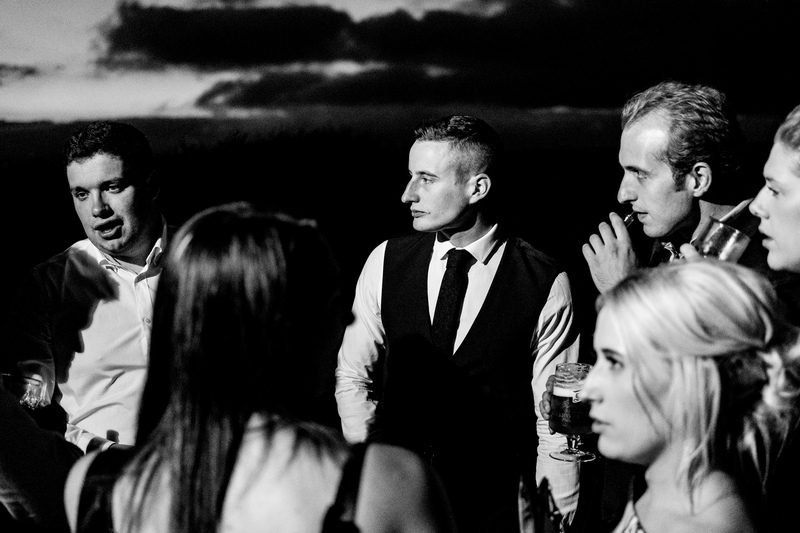 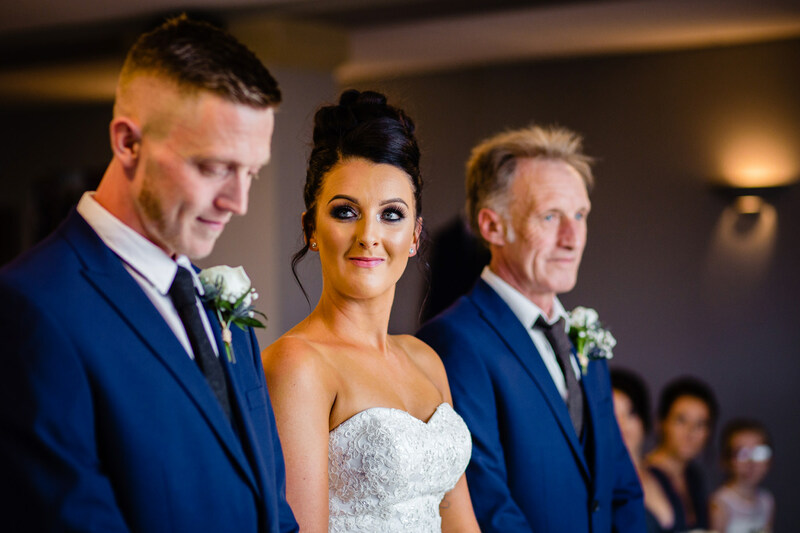 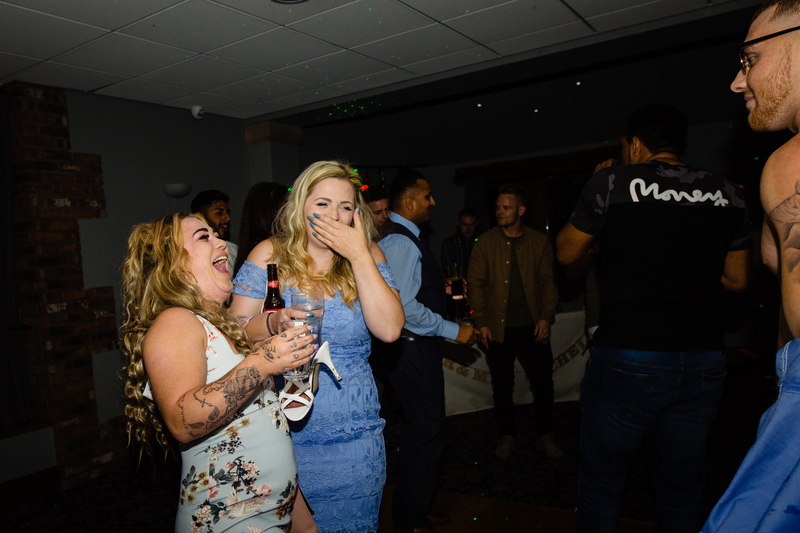 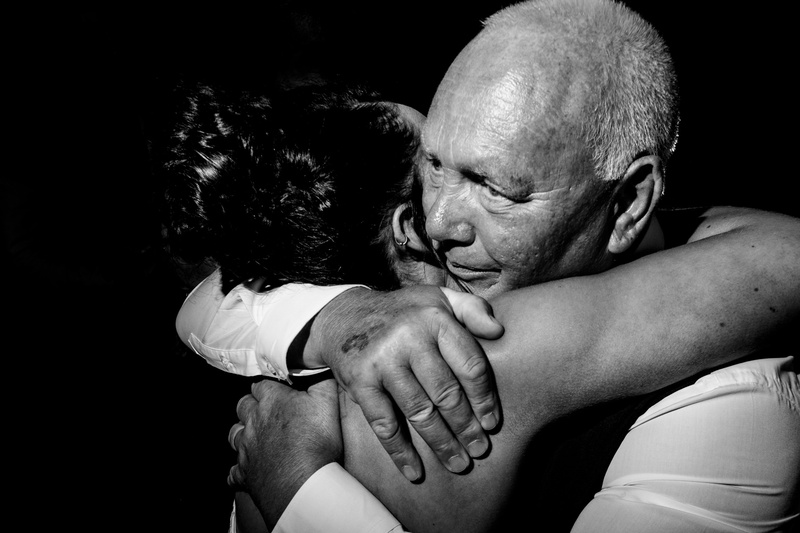 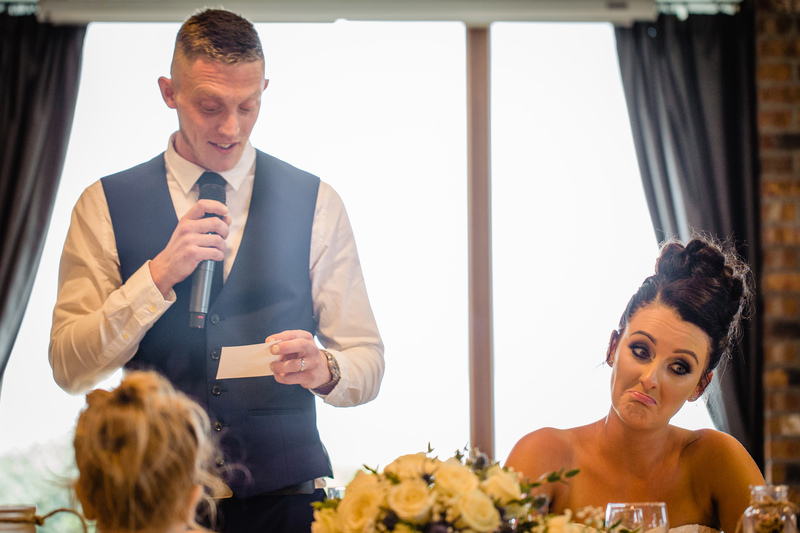 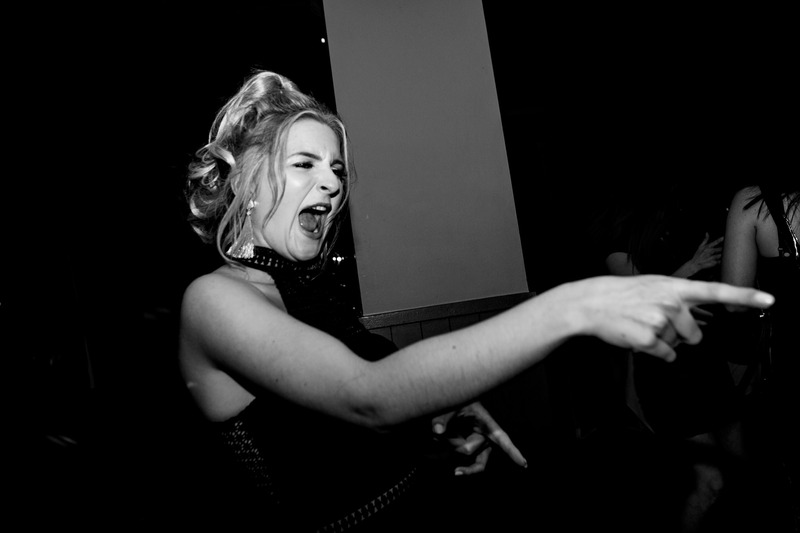 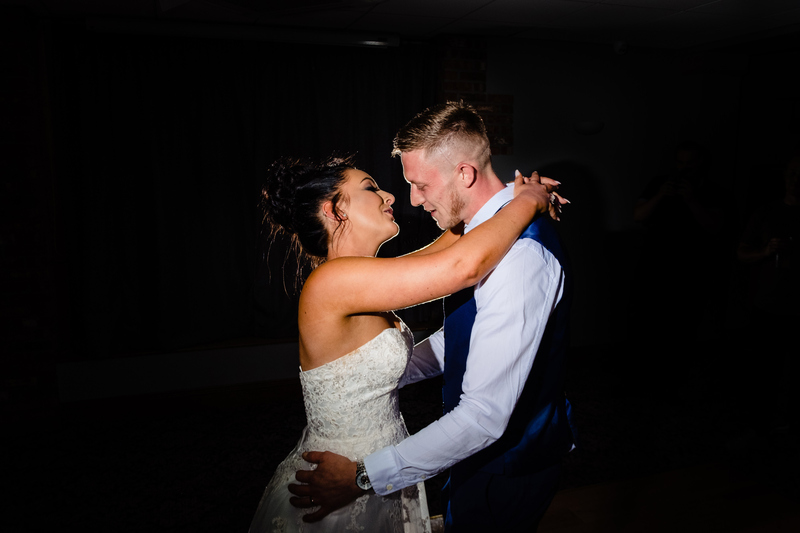 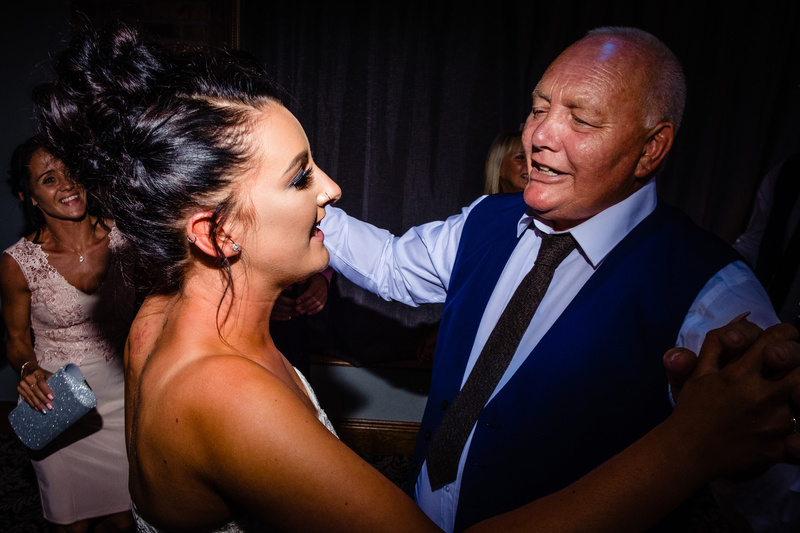 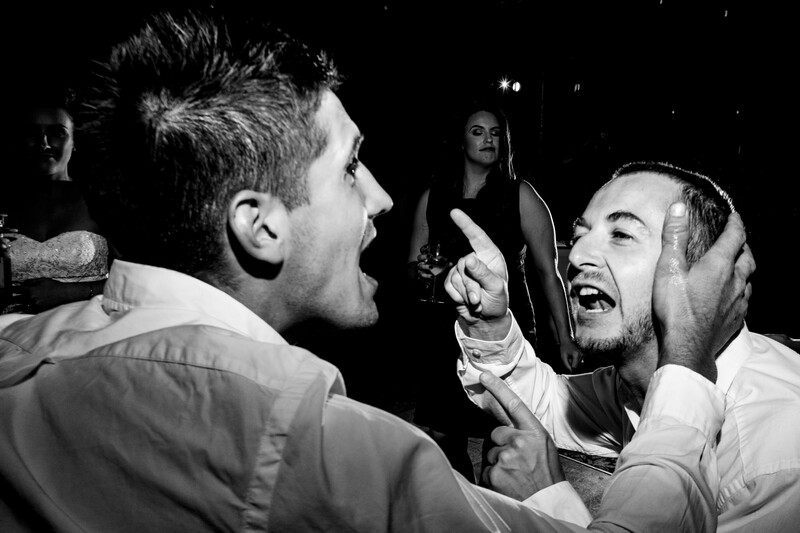 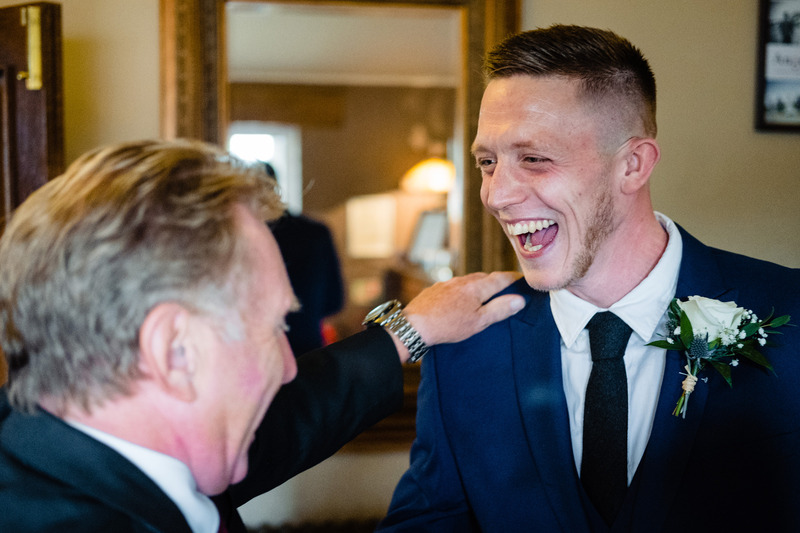 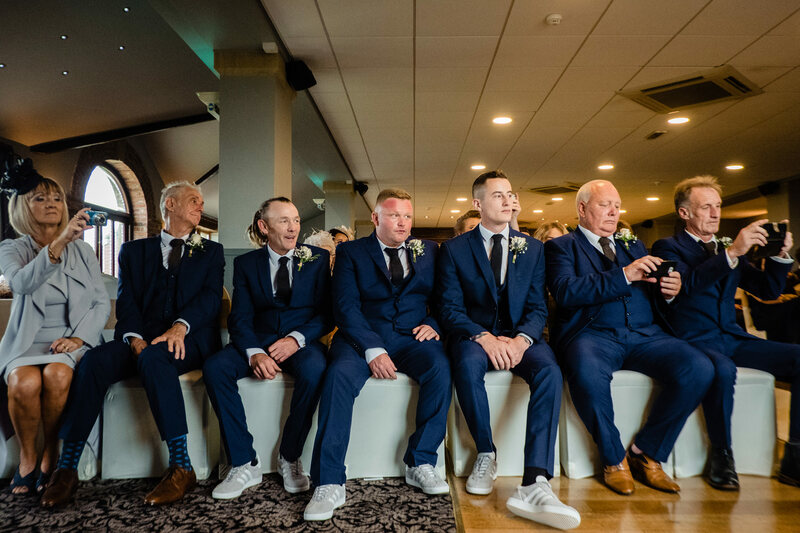 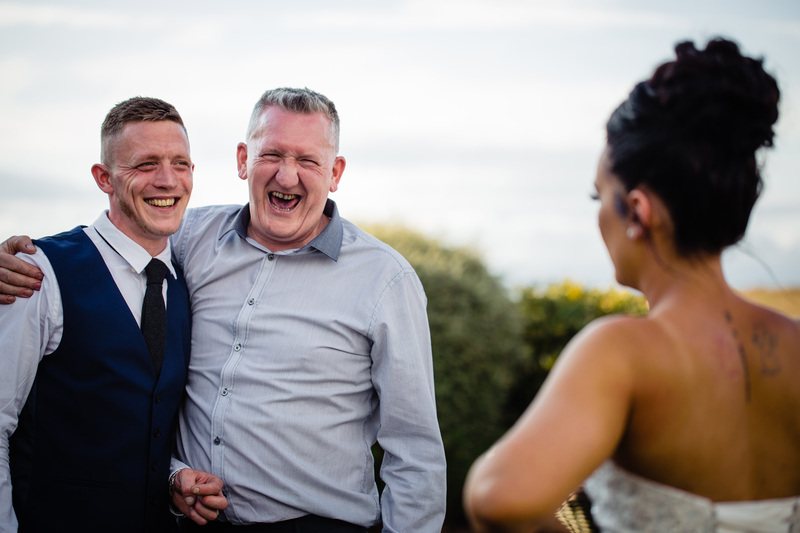 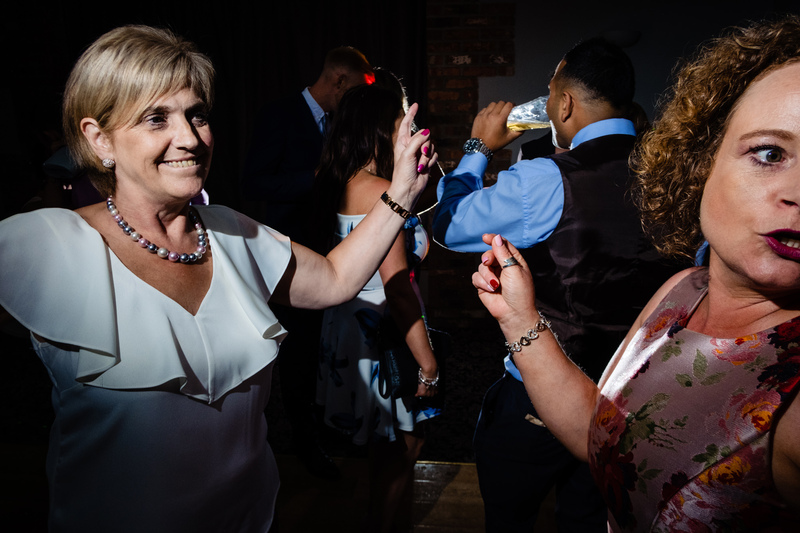 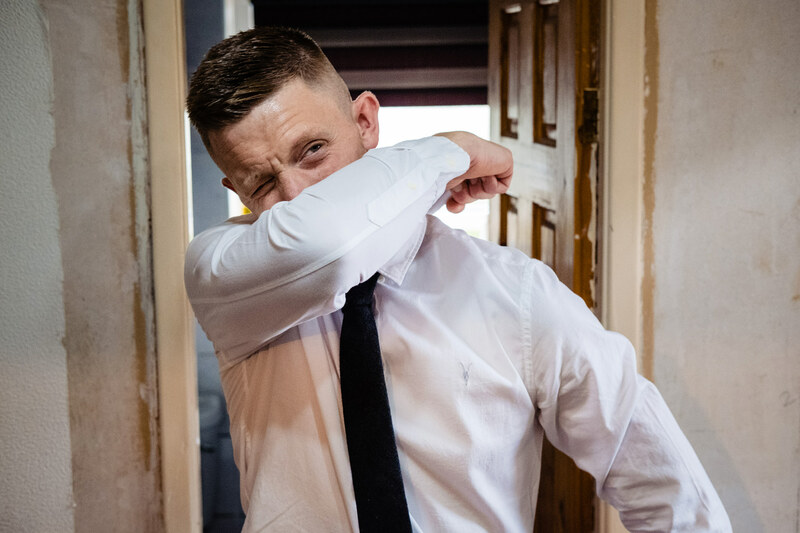 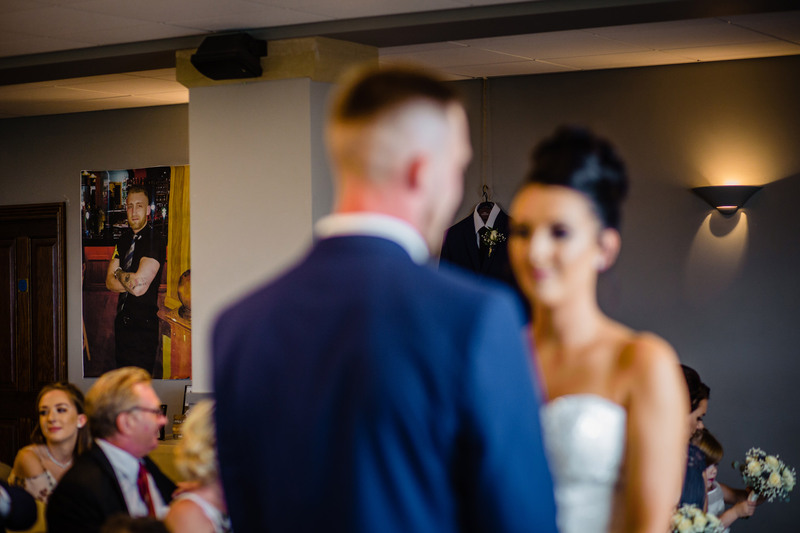 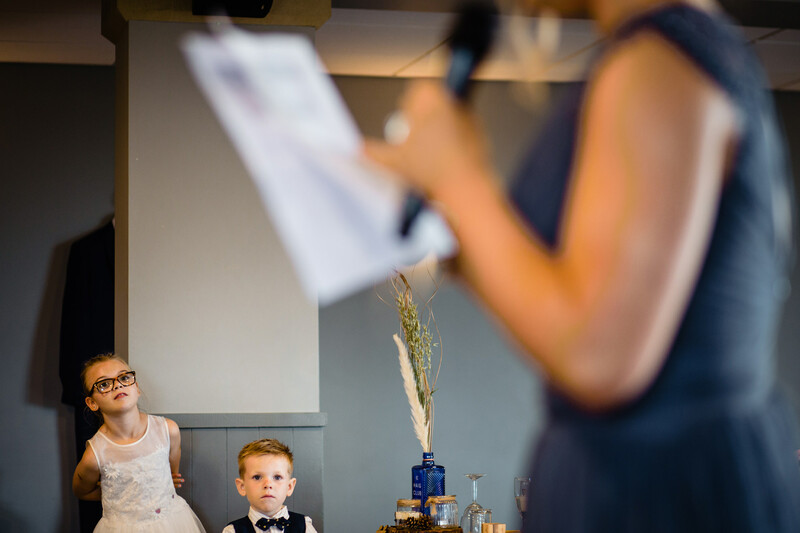 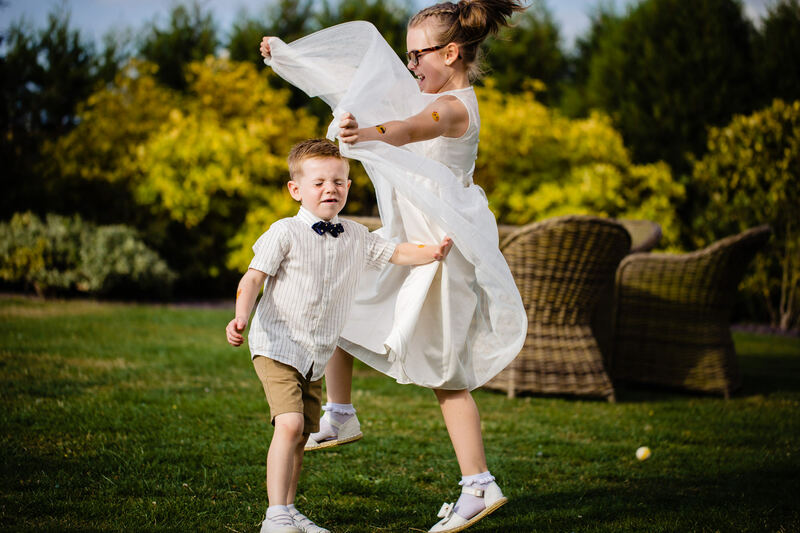 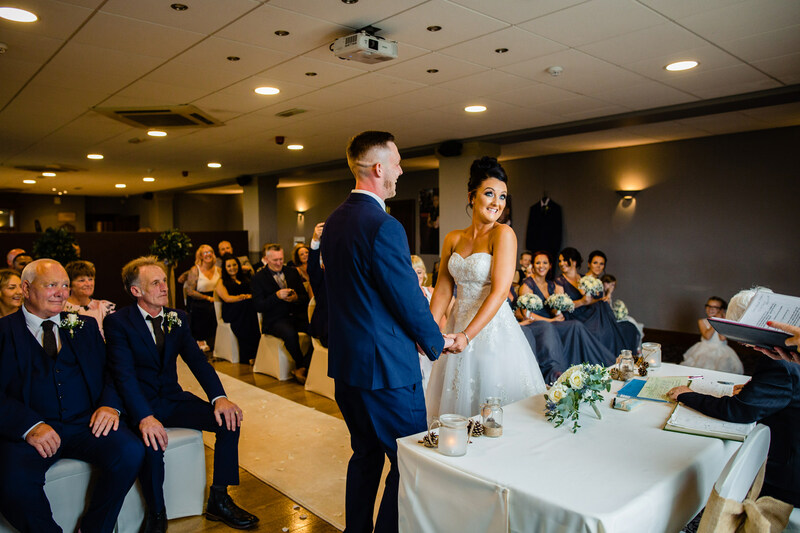 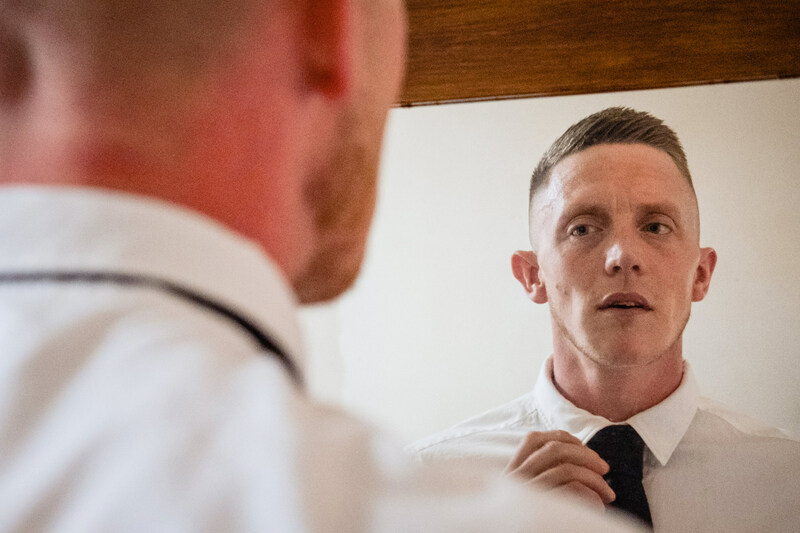 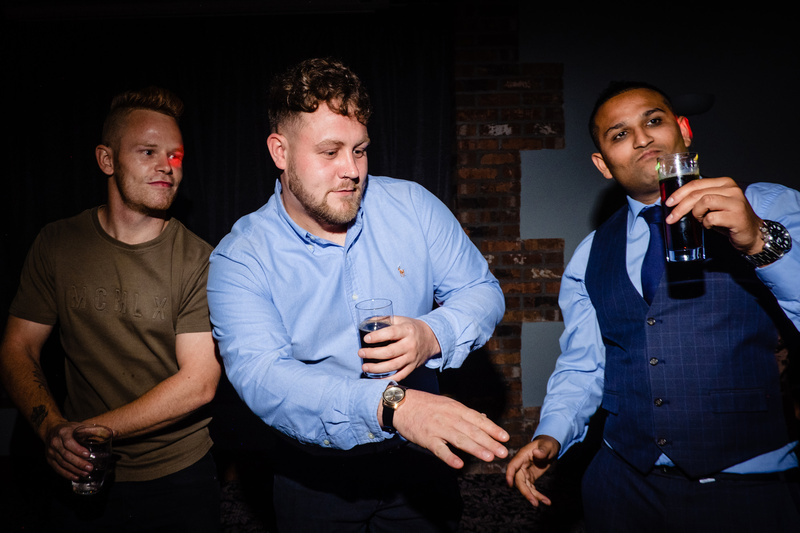 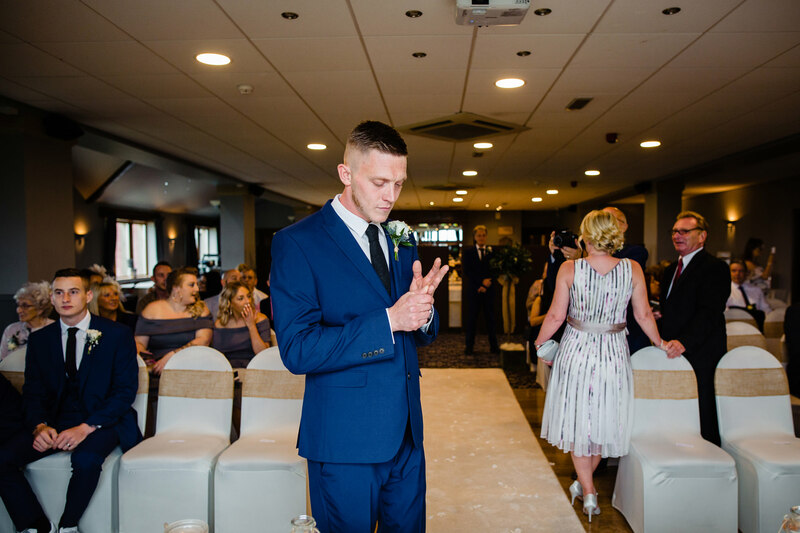 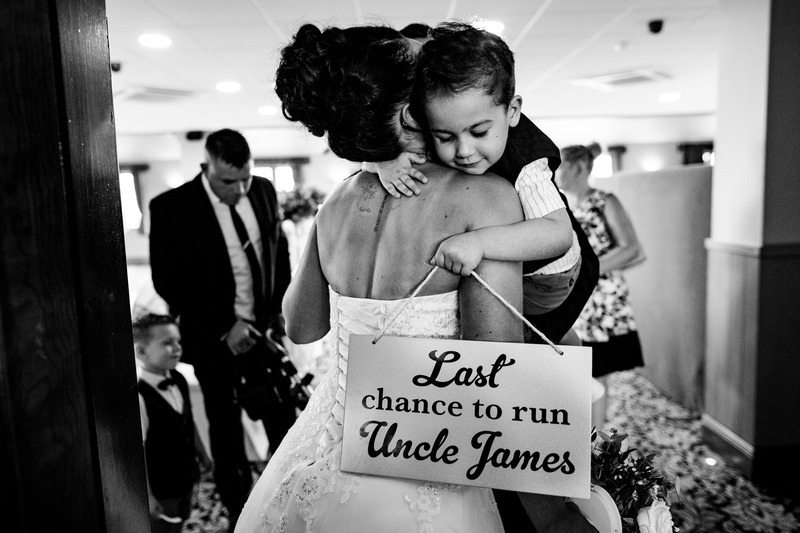 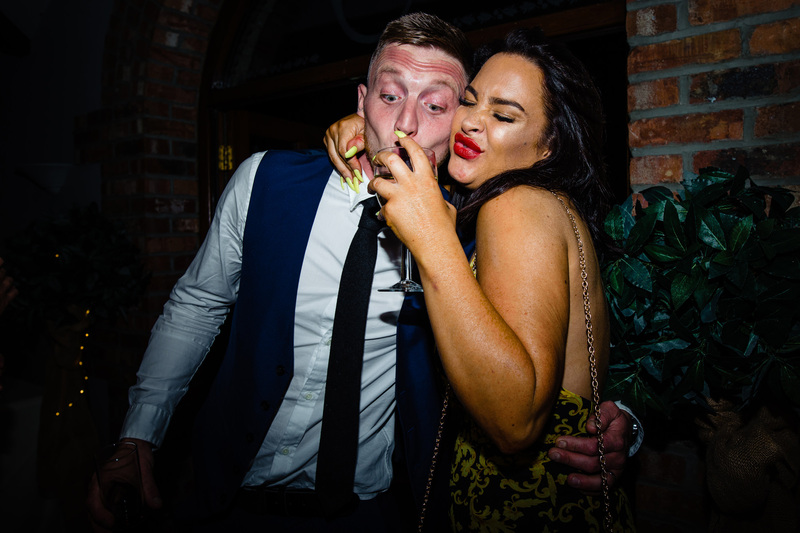 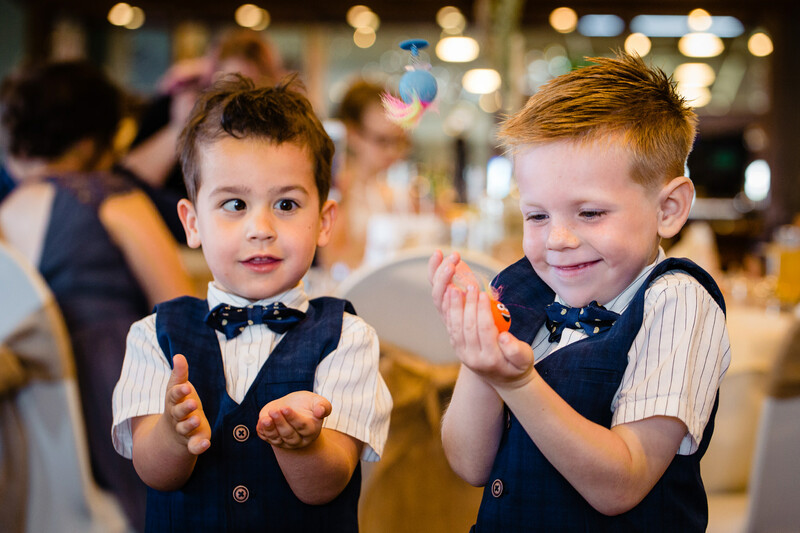 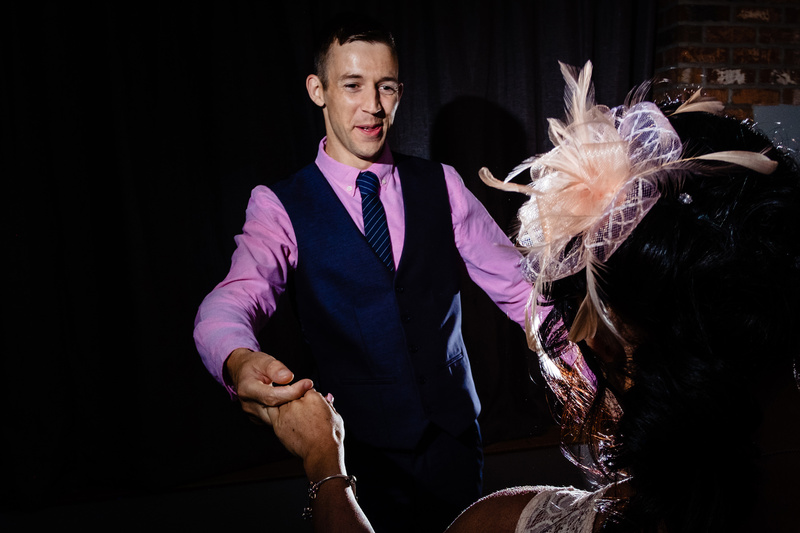 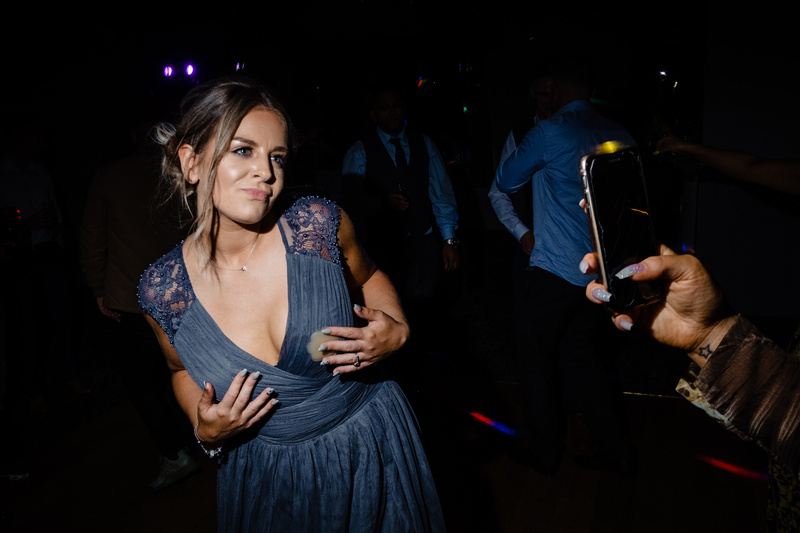 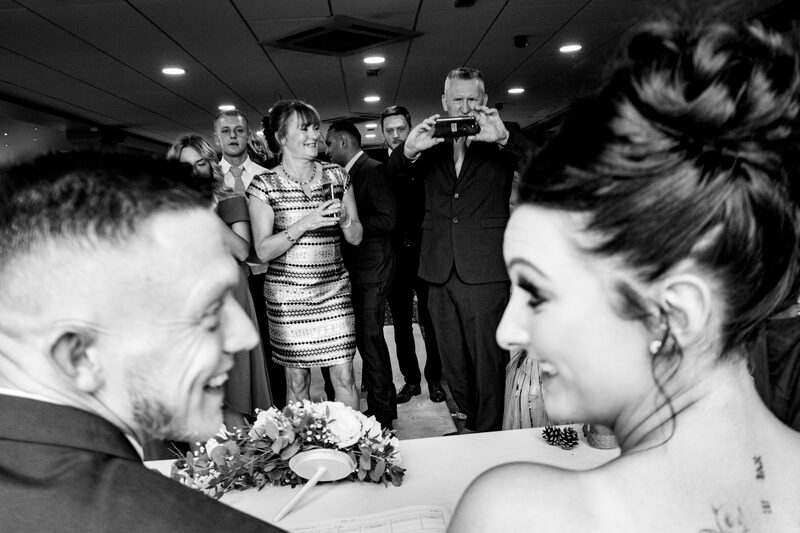 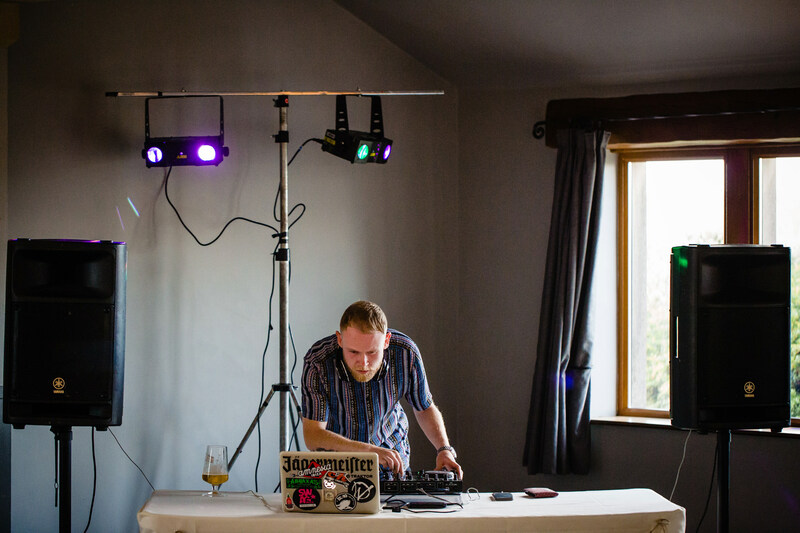 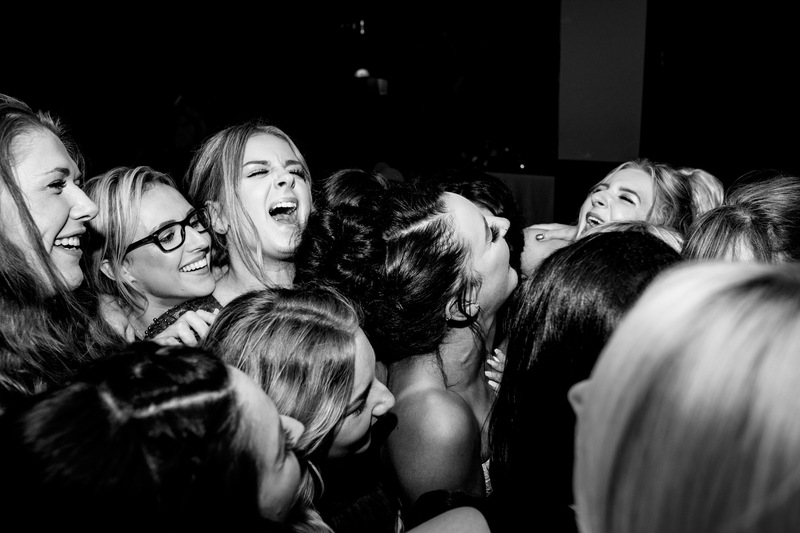 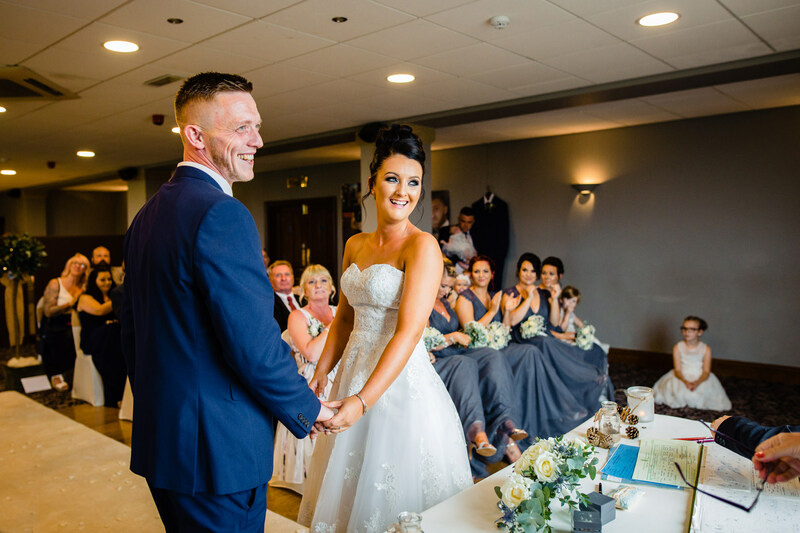 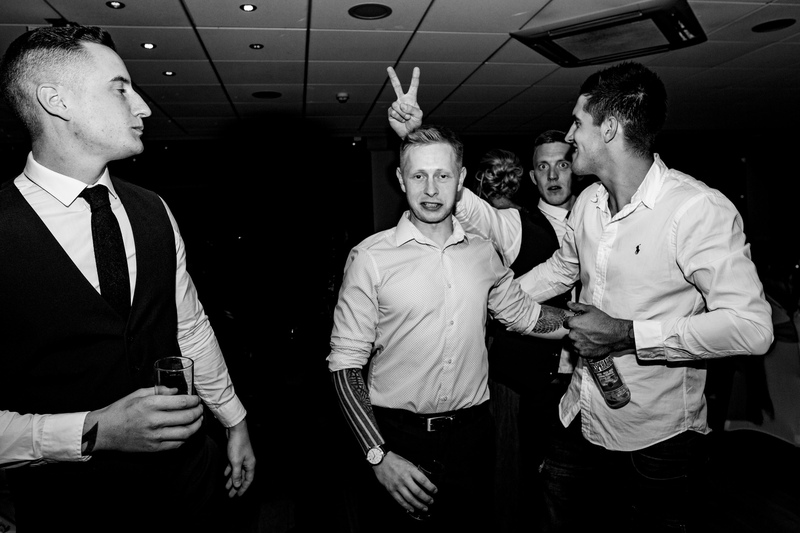 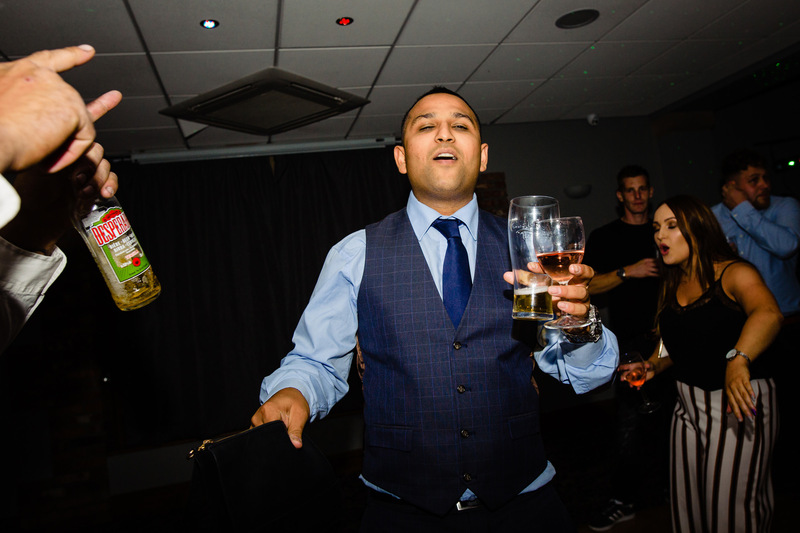 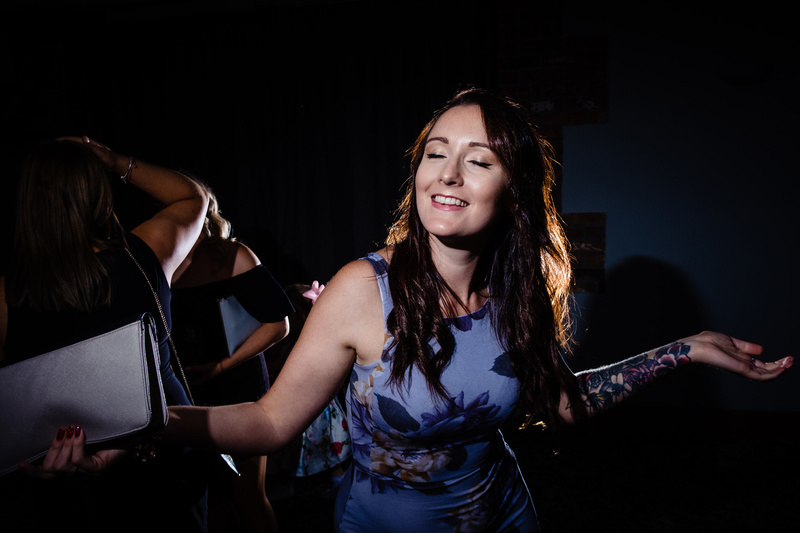 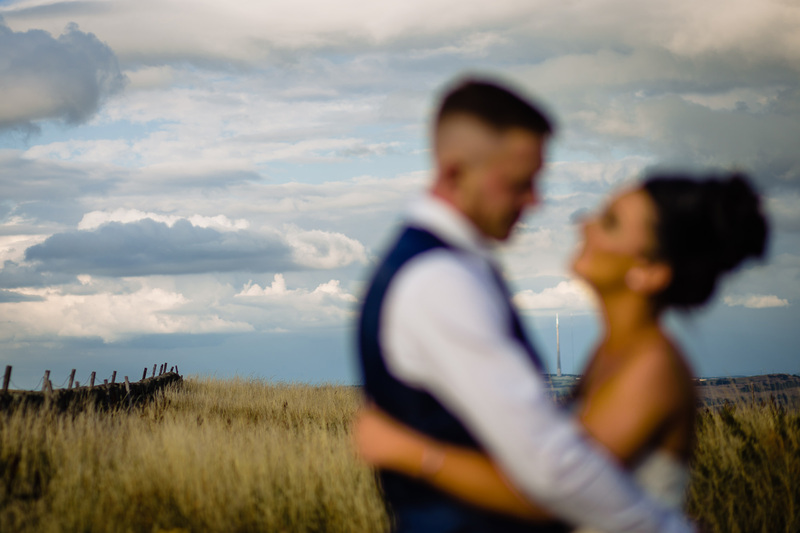 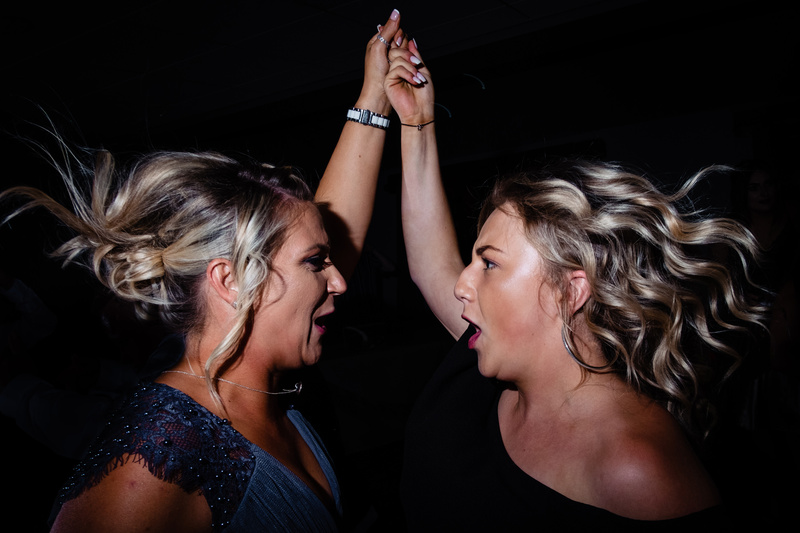 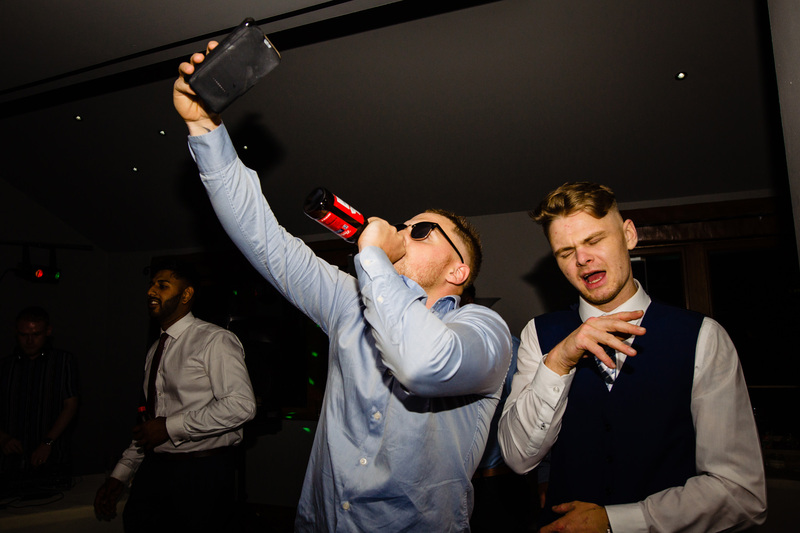 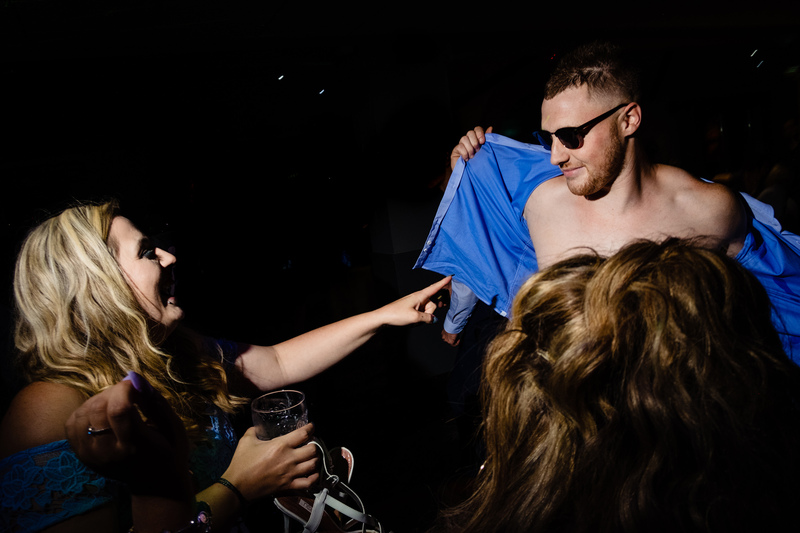 It was an absolute pleasure to spend the day with a group of people who had so much love and support for each other… and we’ll never forget James’s face when Dizzee Rascal – Fix Up, Look Sharp, played just before the bridal party entered the ceremony. 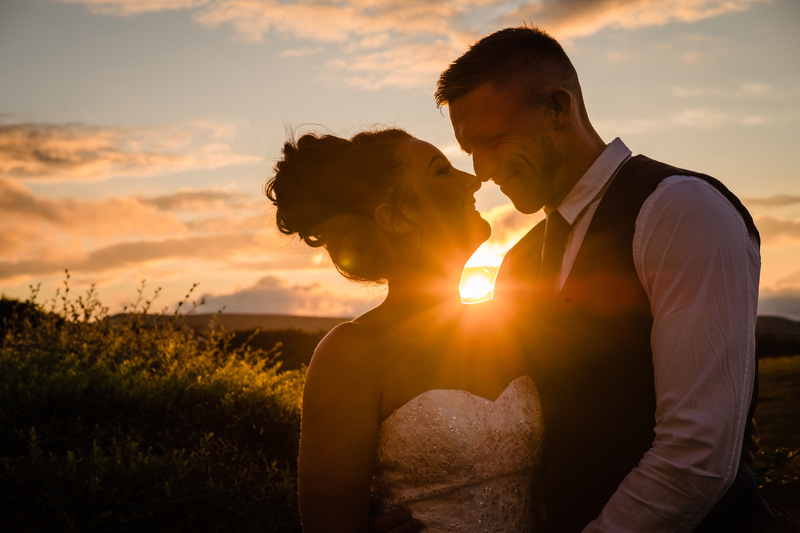 A brilliant day. 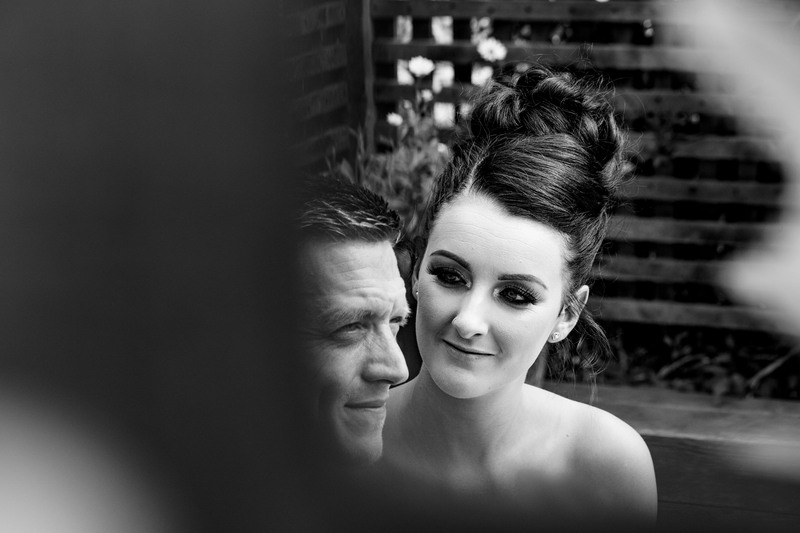 Have a nosy at a few pictures below.